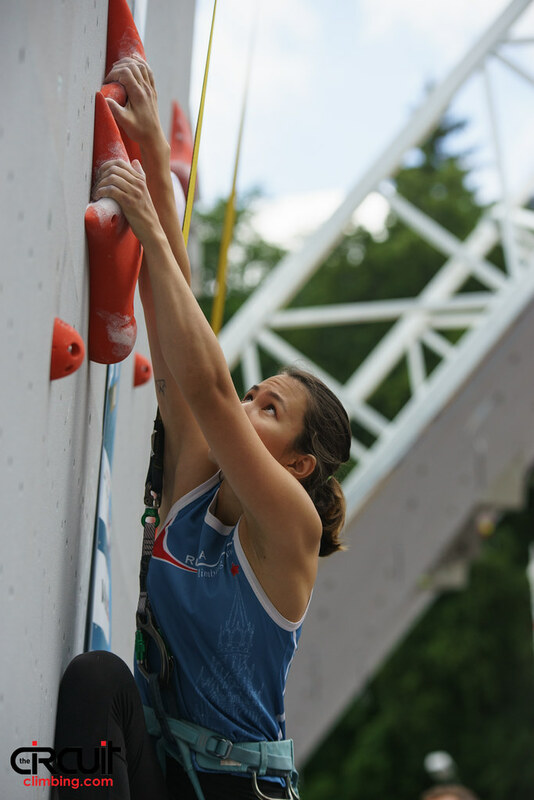 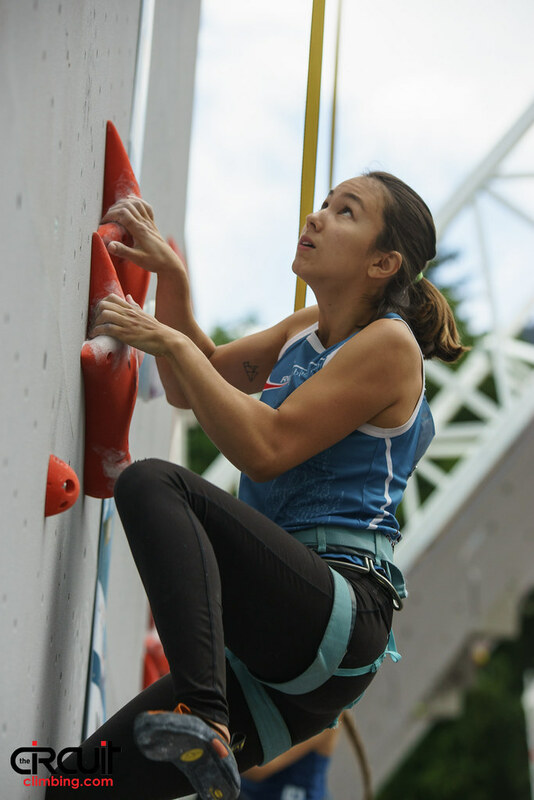 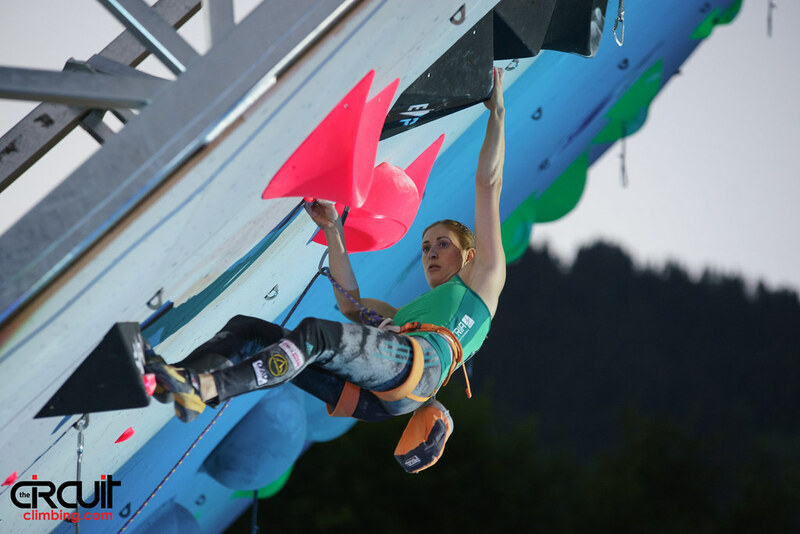 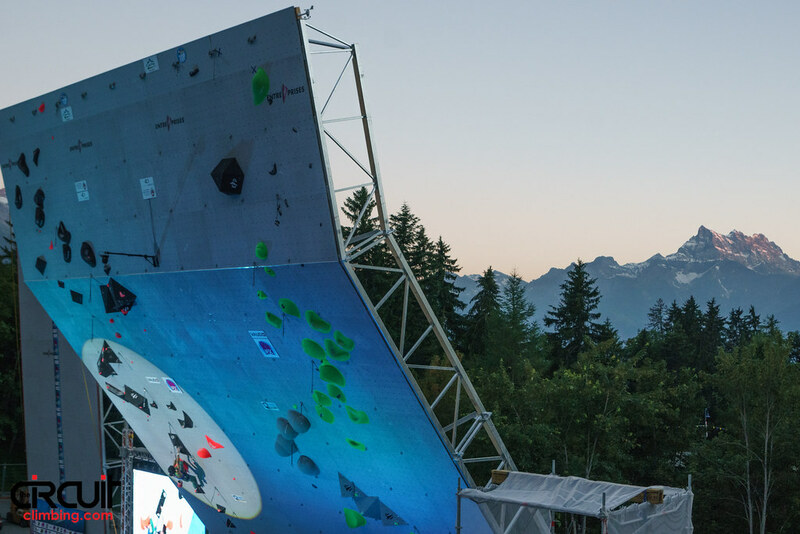 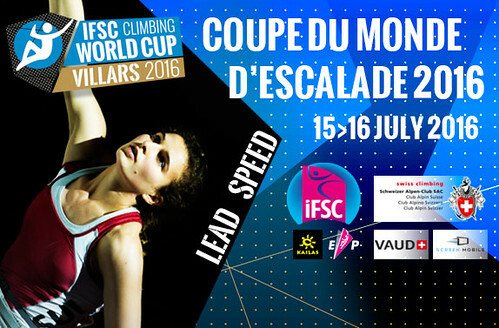 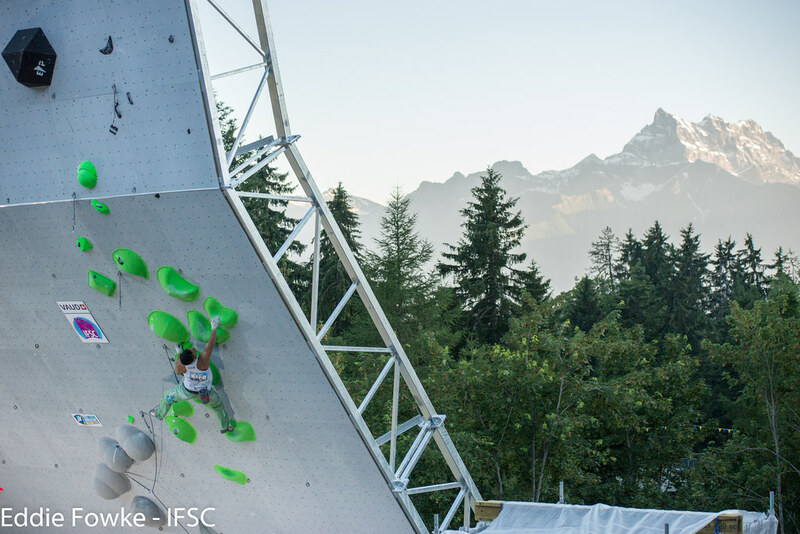 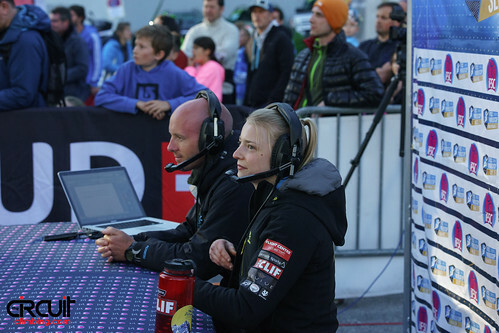 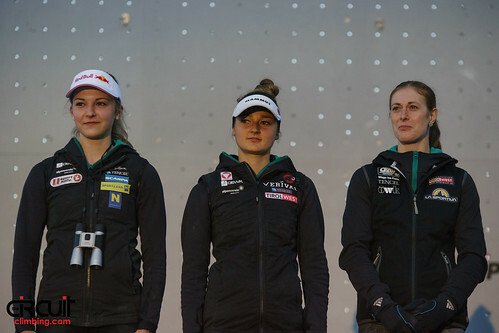 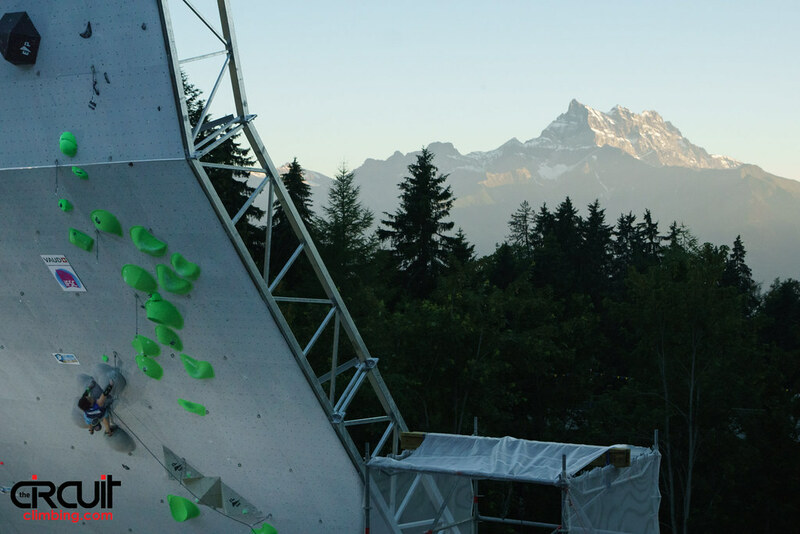 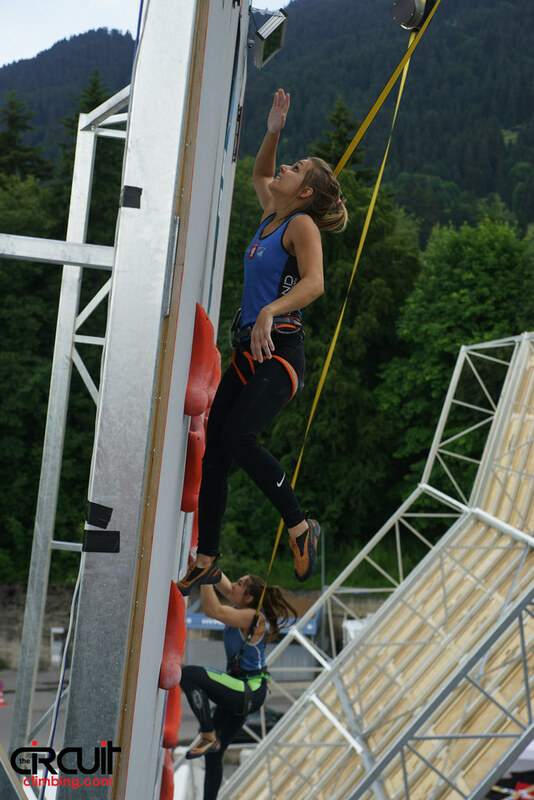 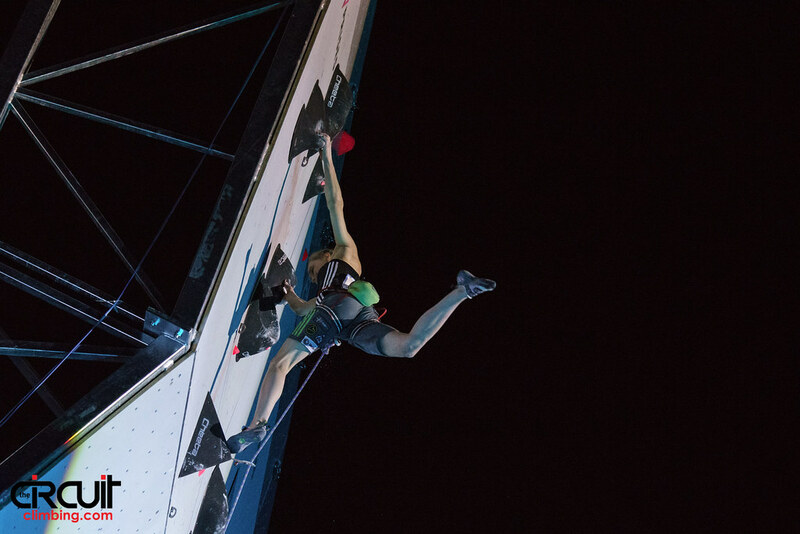 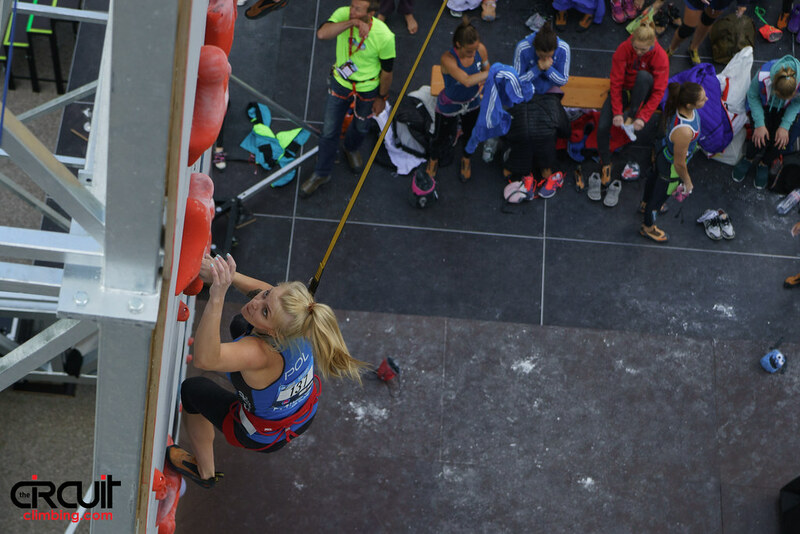 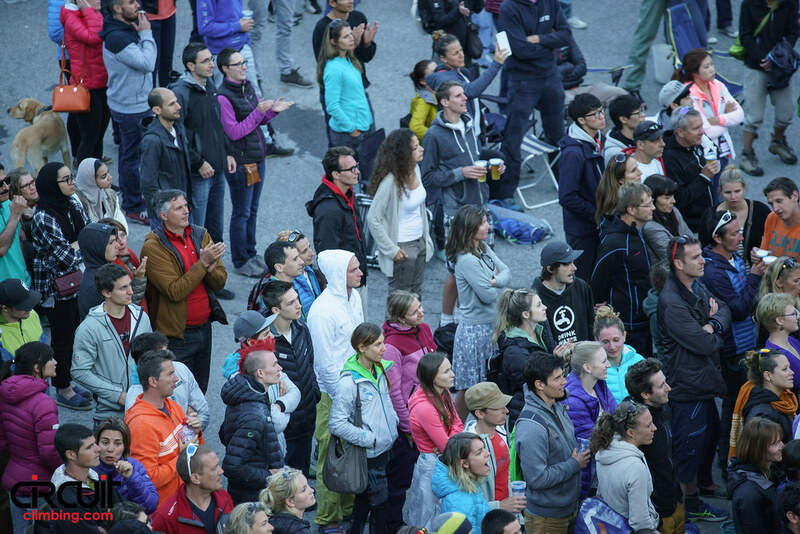 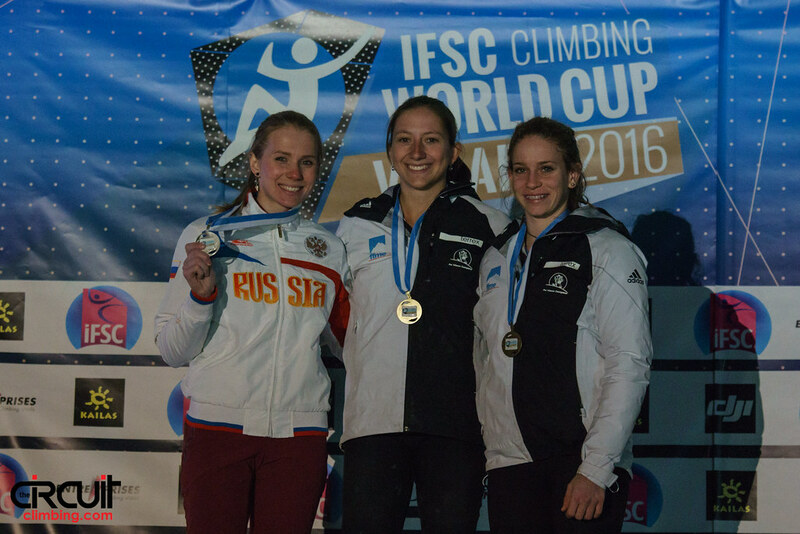 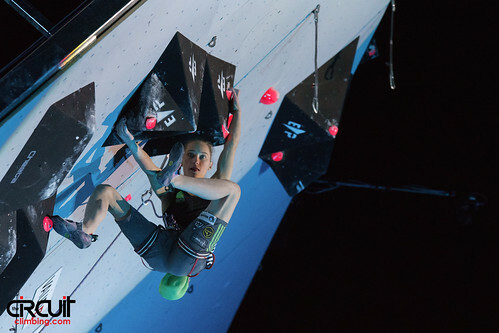 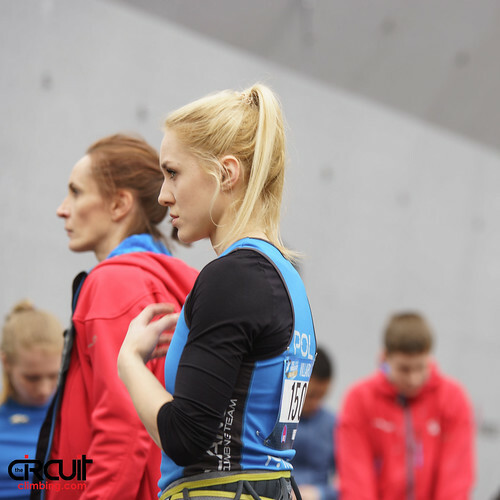 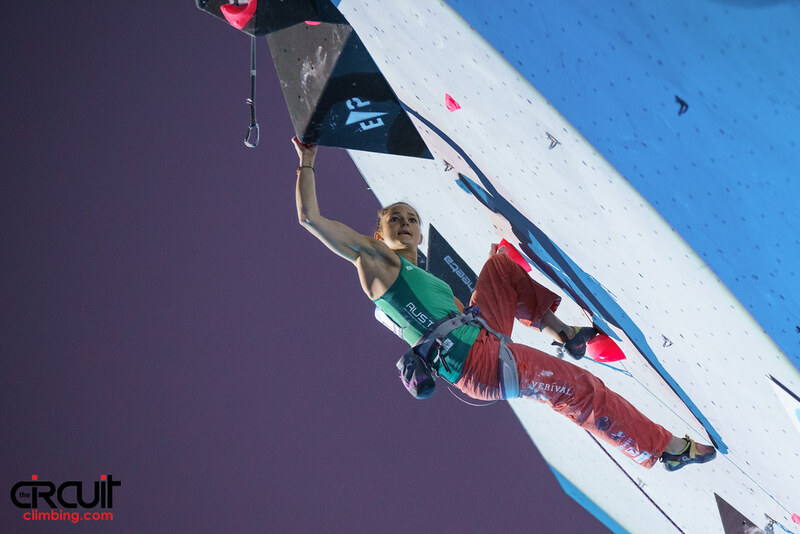 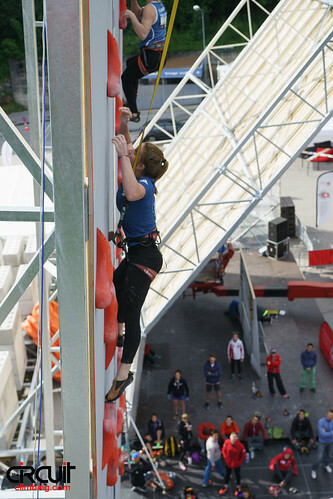 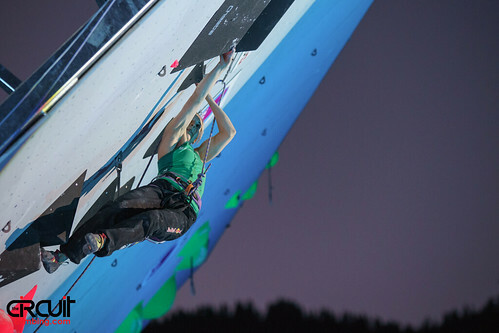 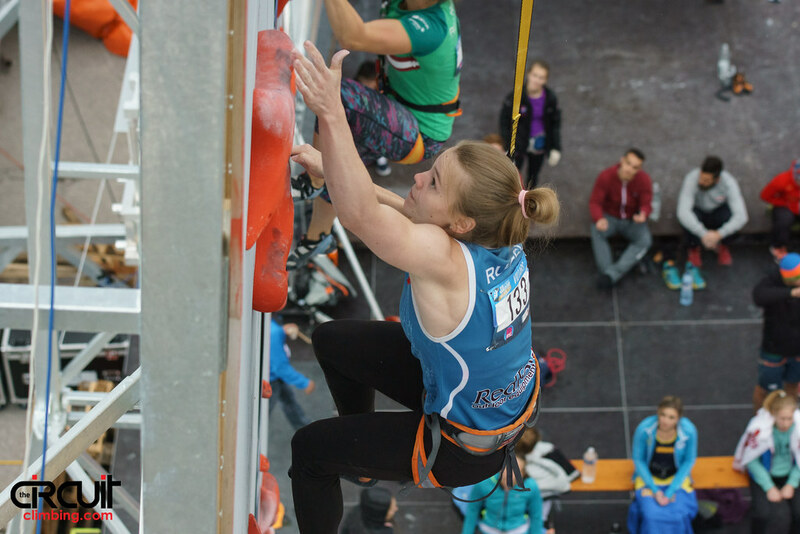 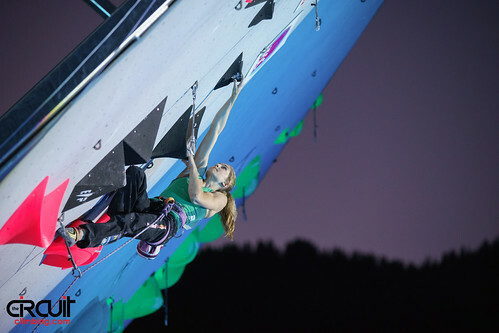 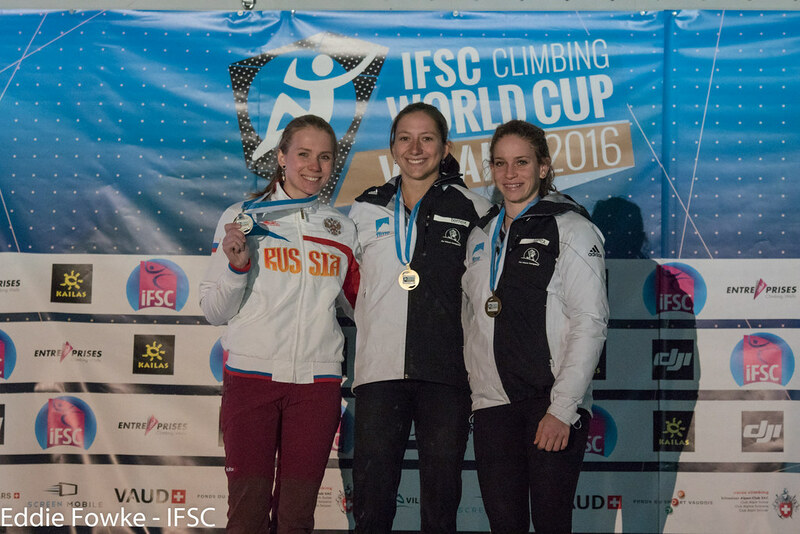 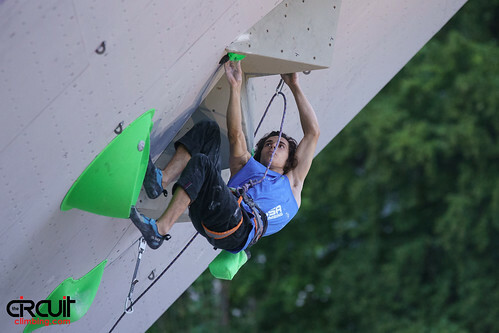 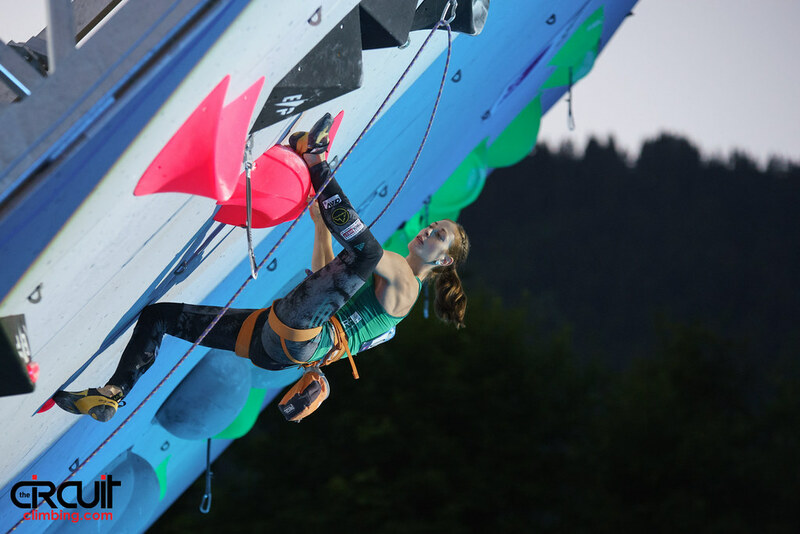 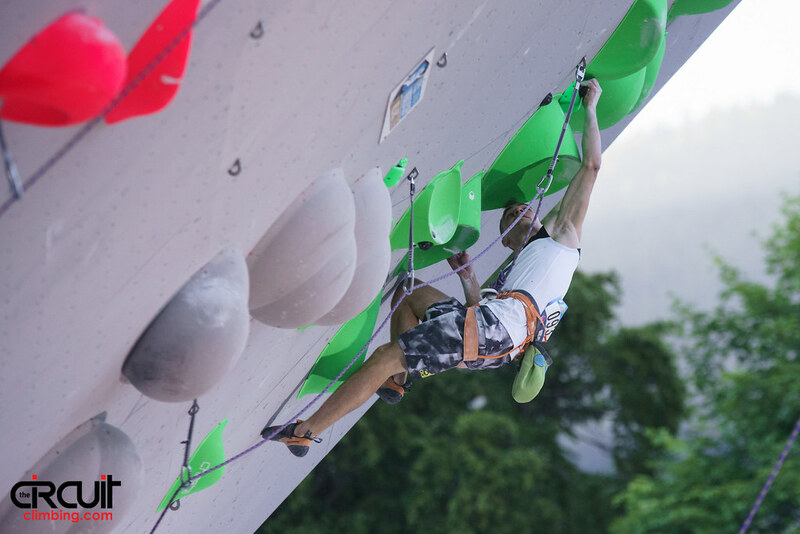 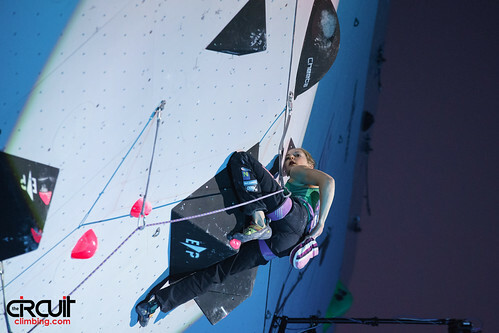 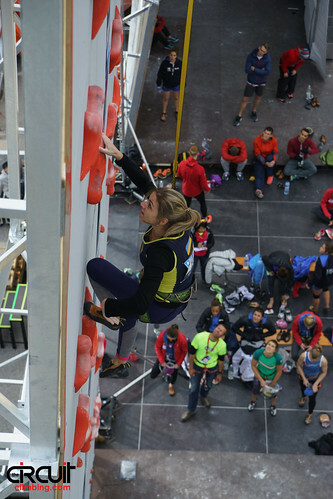 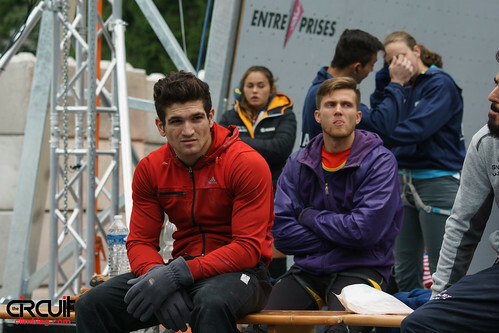 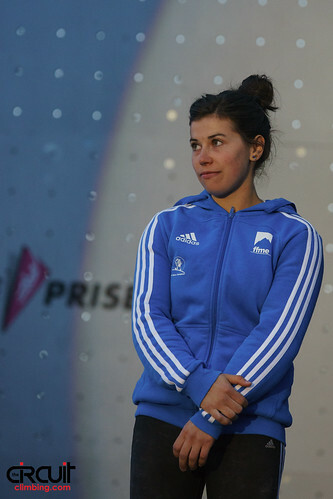 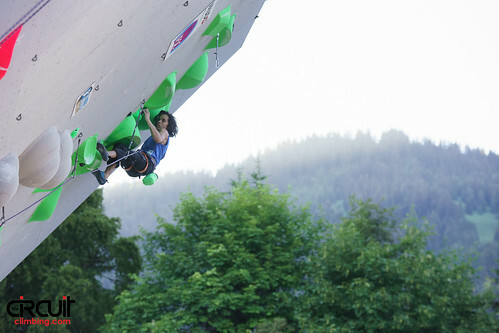 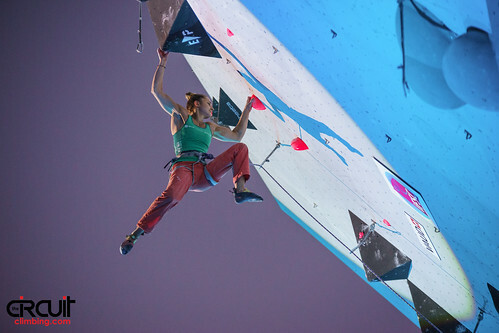 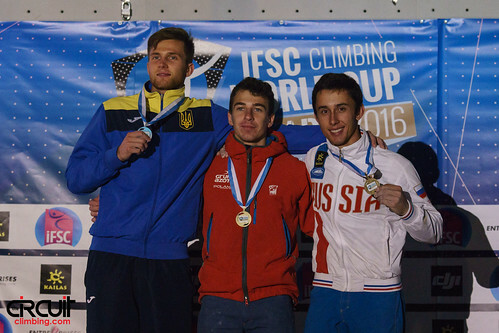 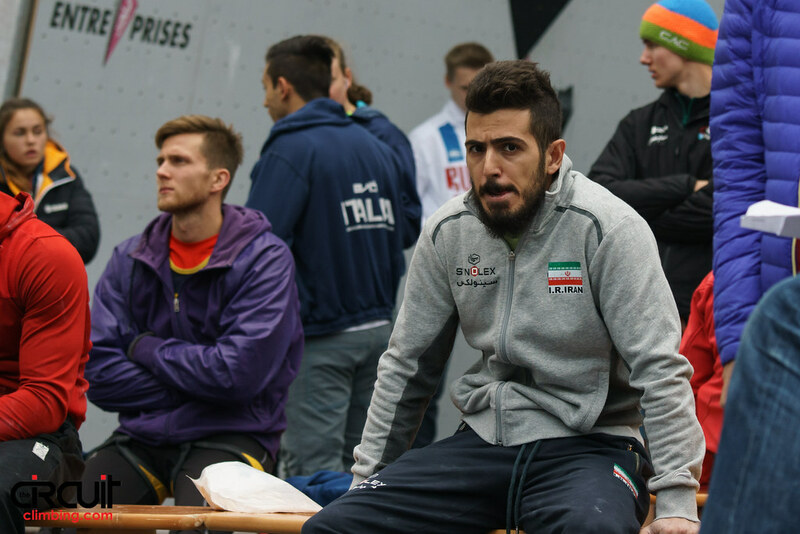 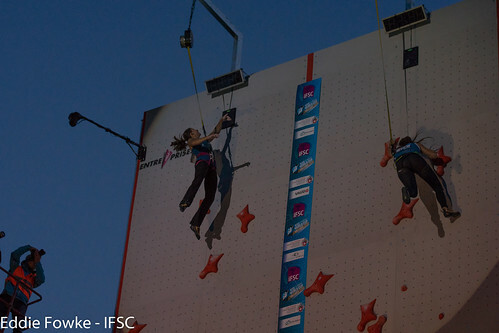 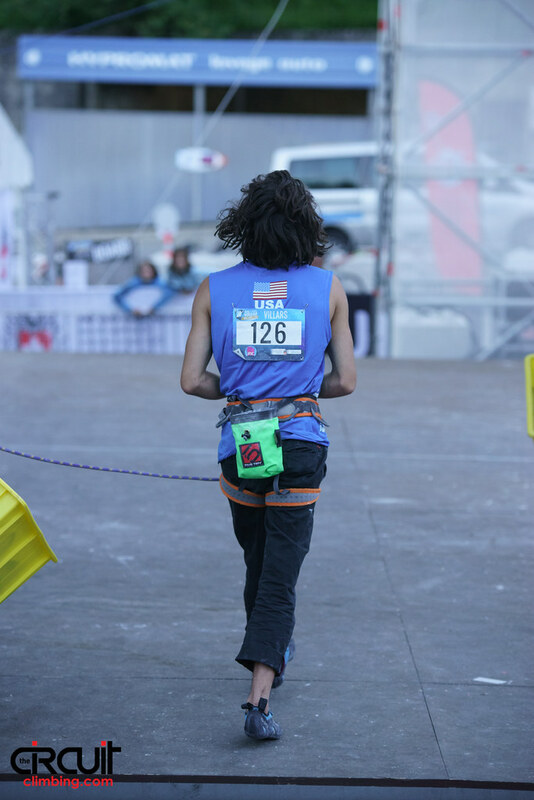 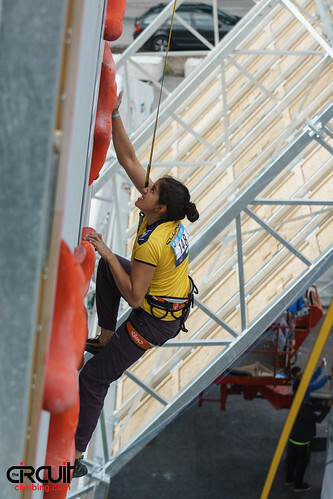 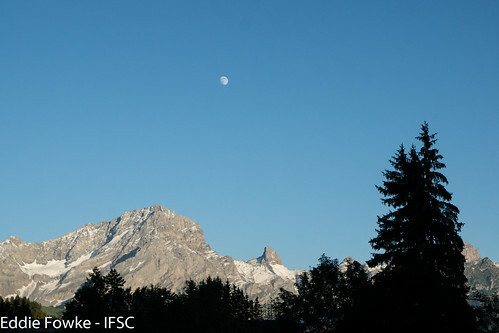 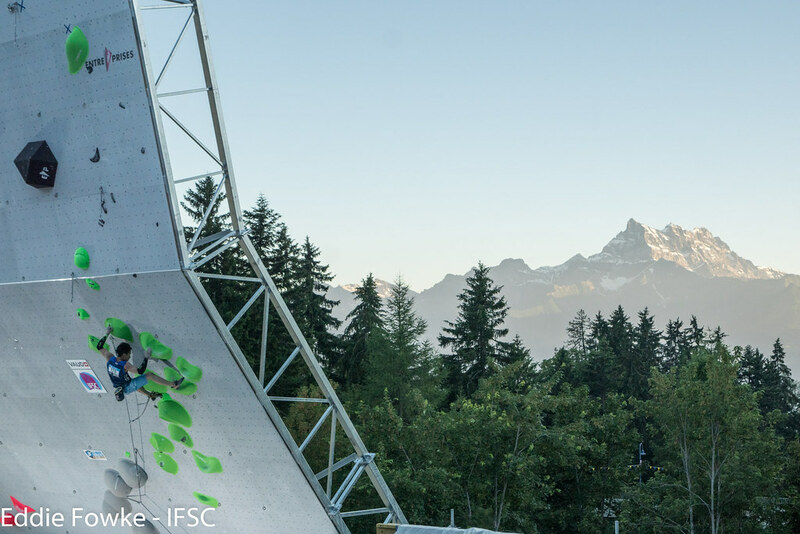 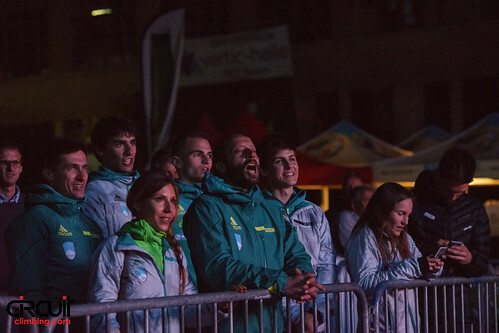 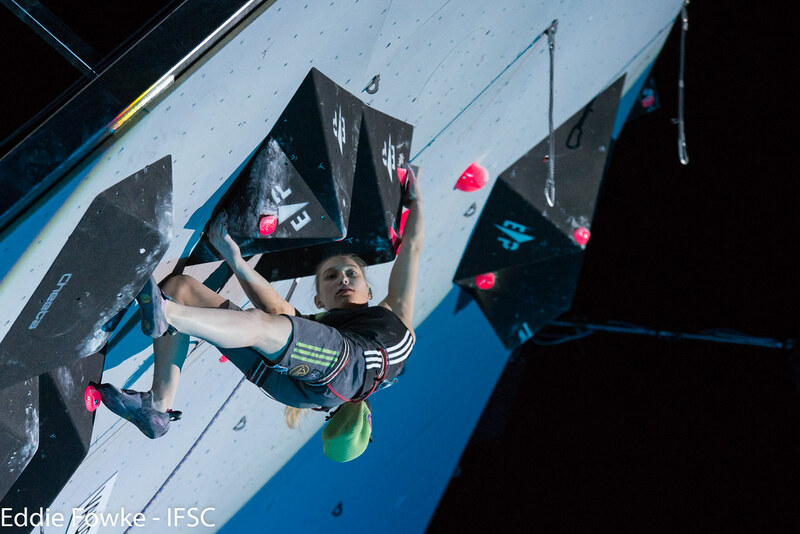 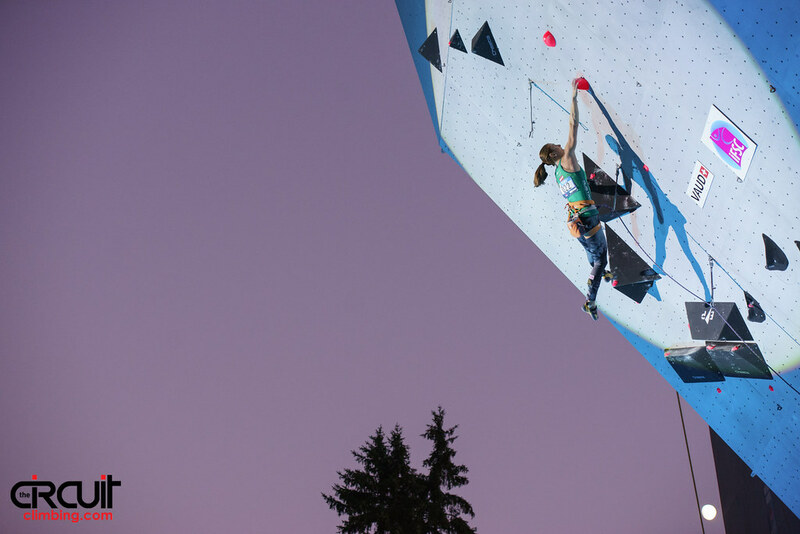 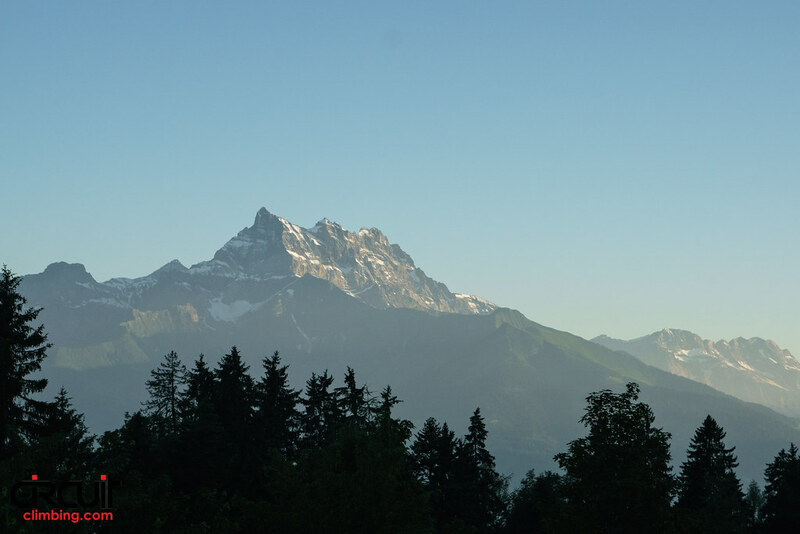 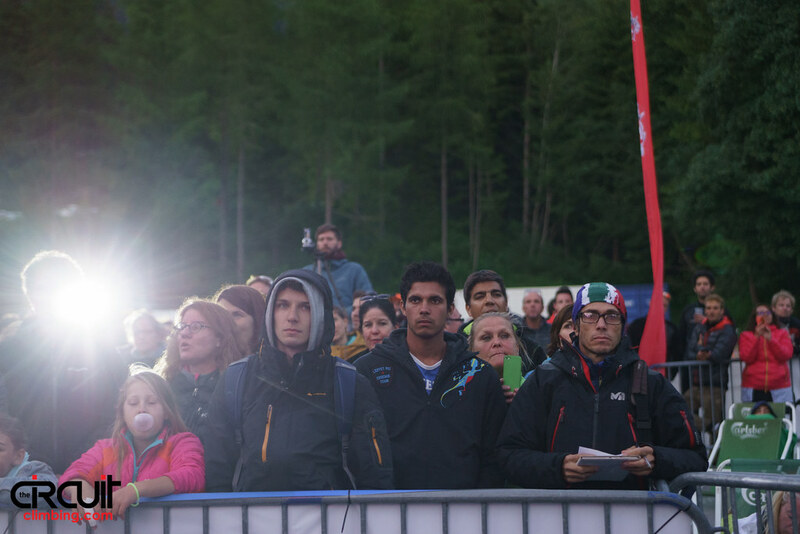 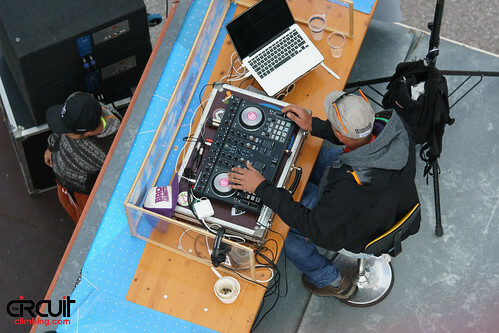 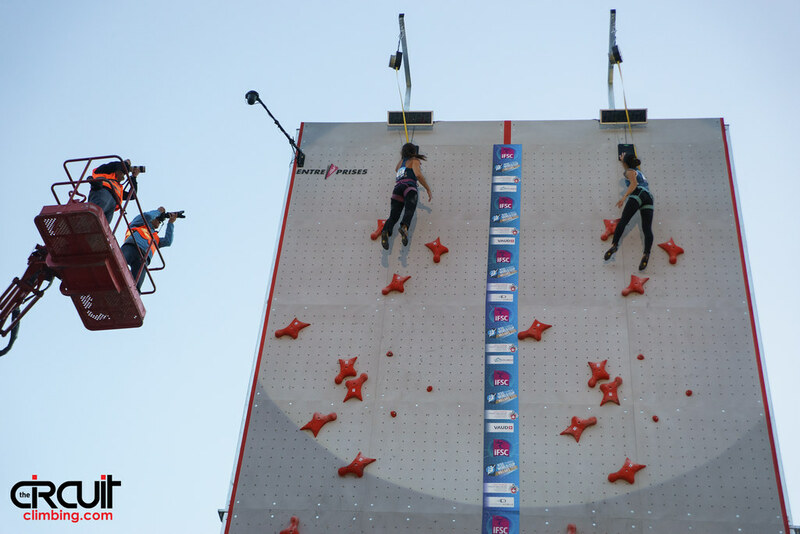 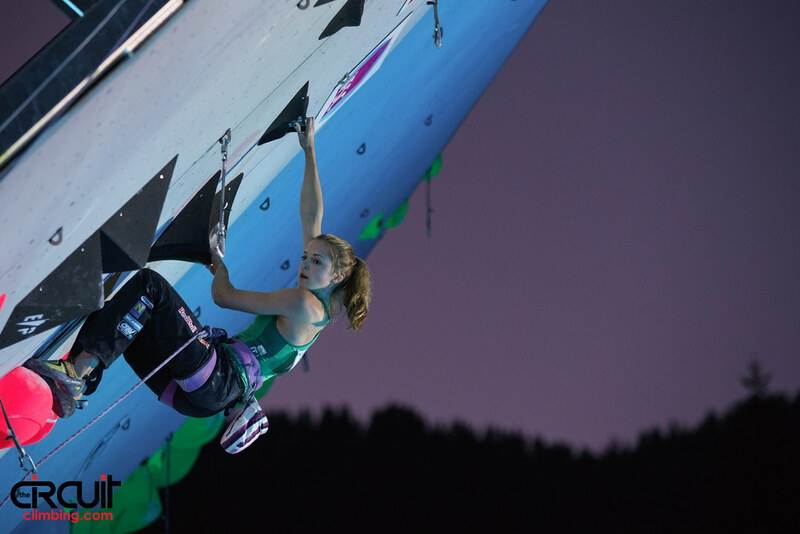 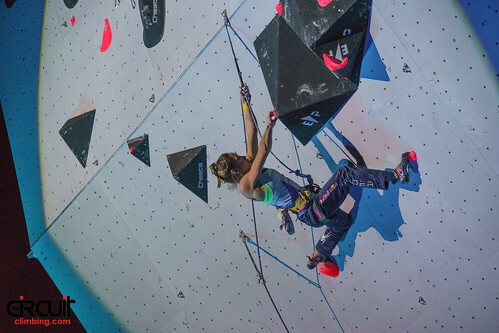 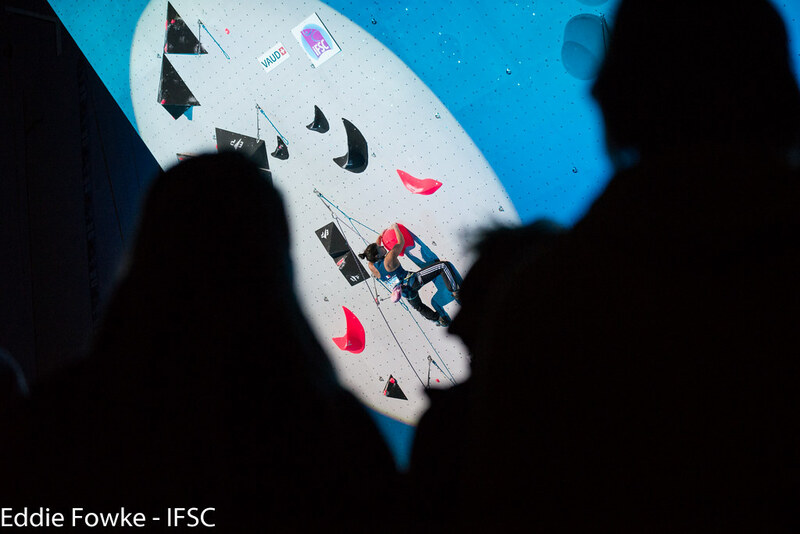 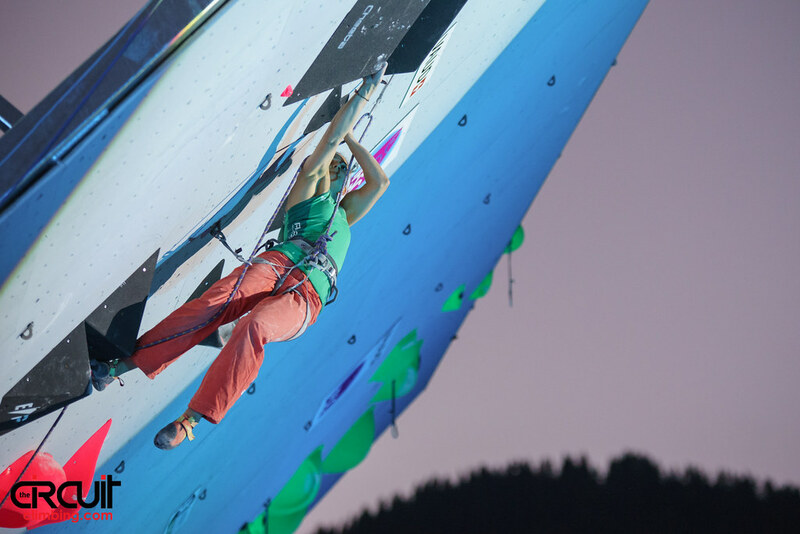 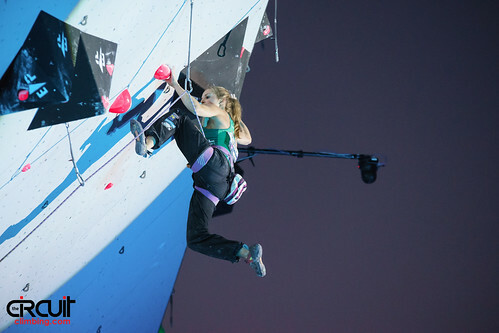 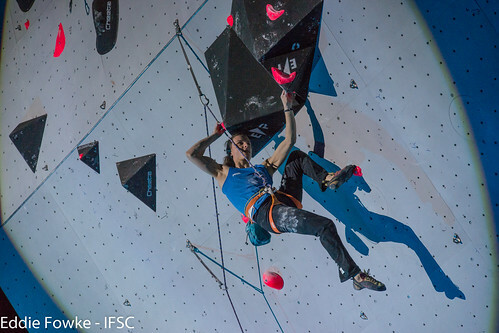 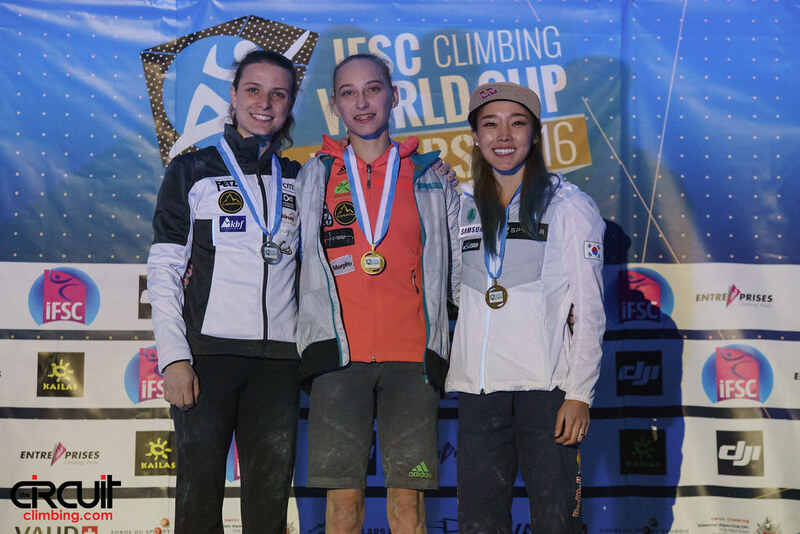 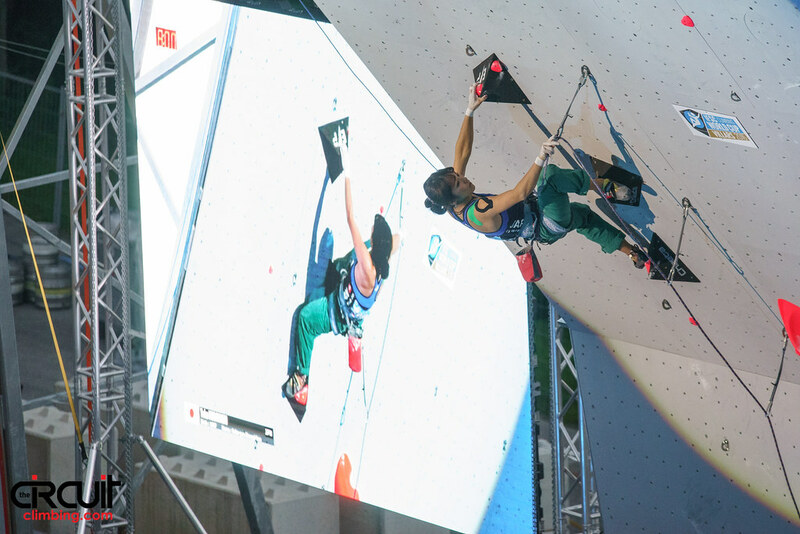 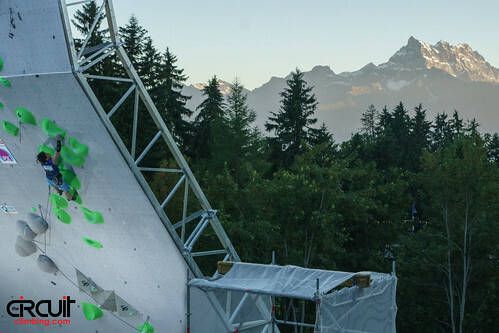 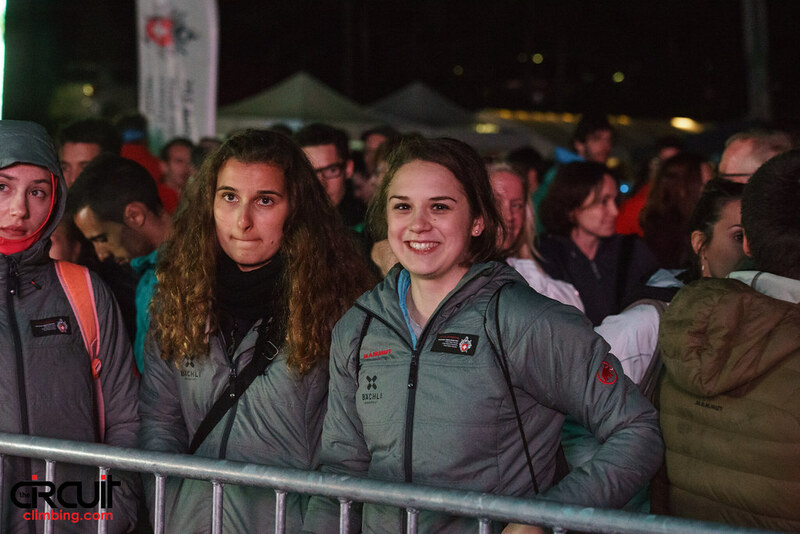 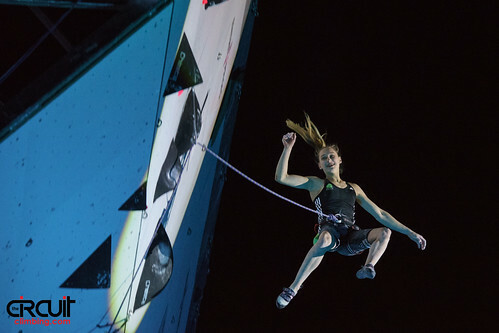 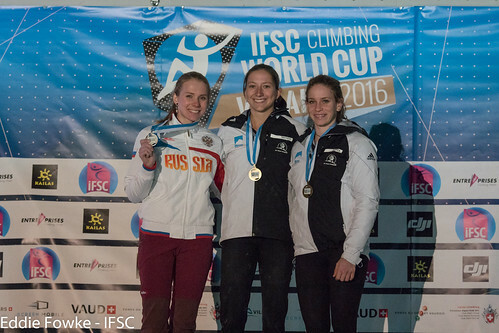 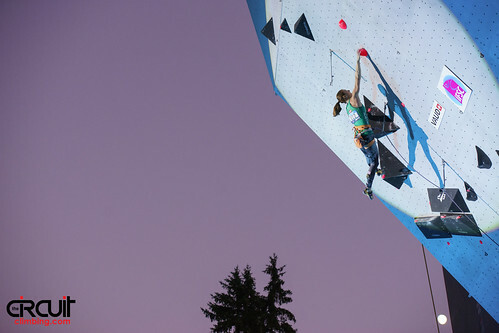 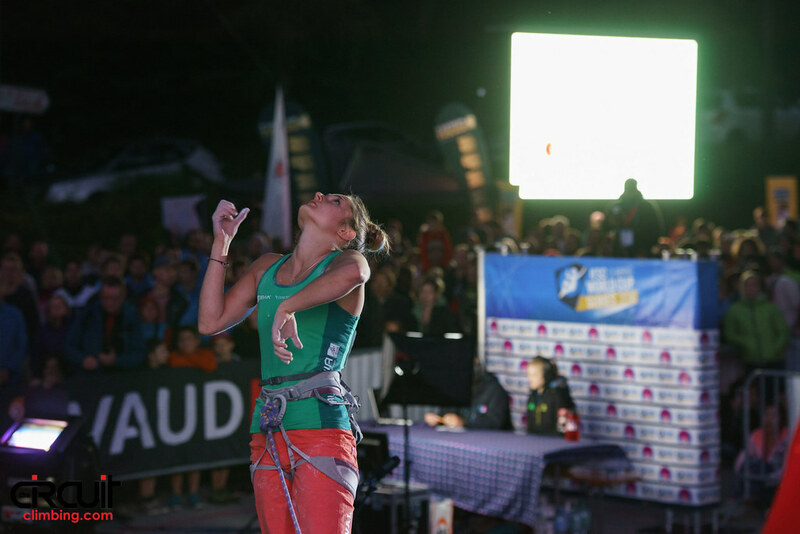 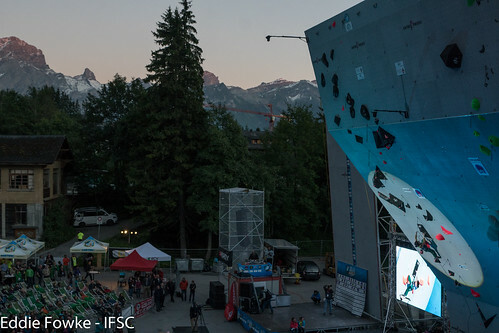 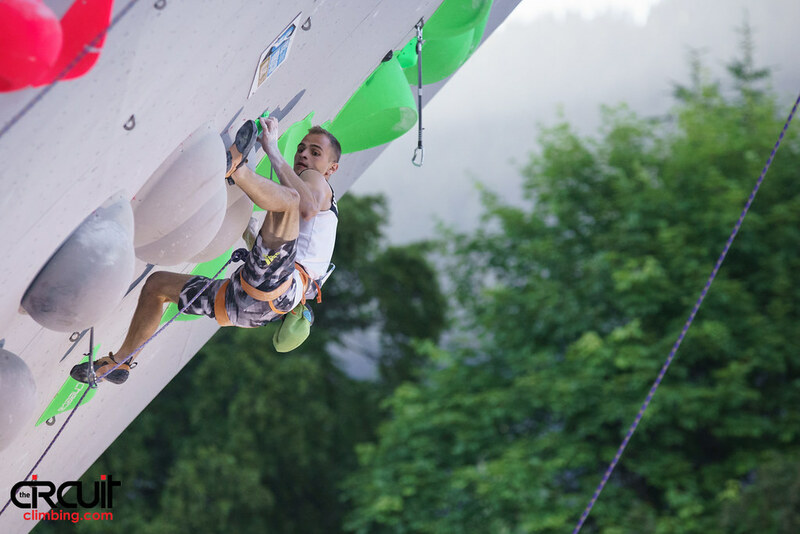 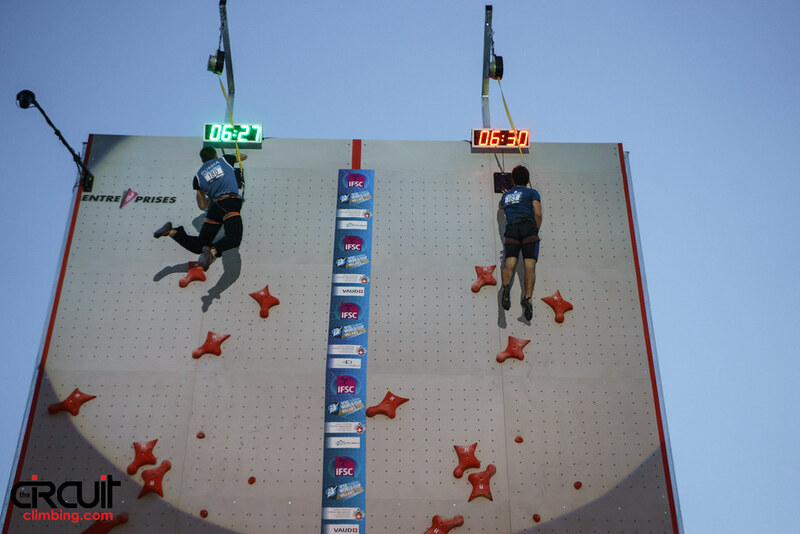 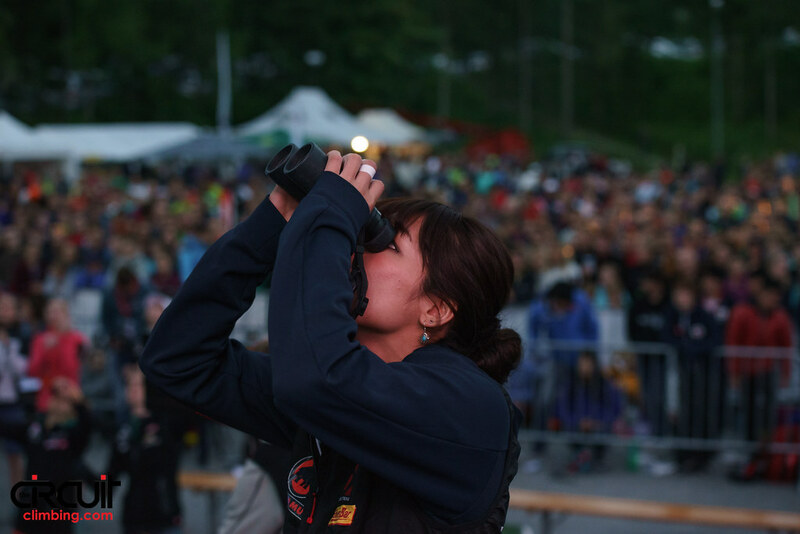 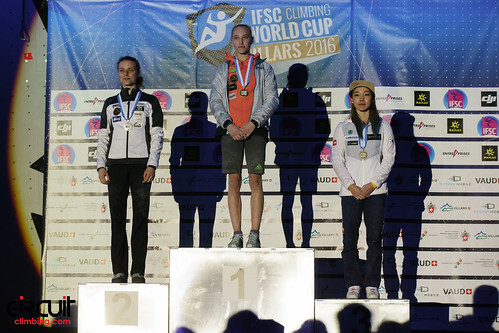 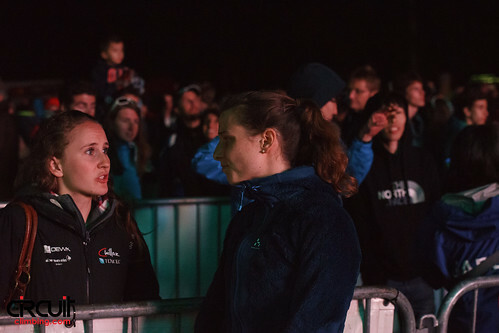 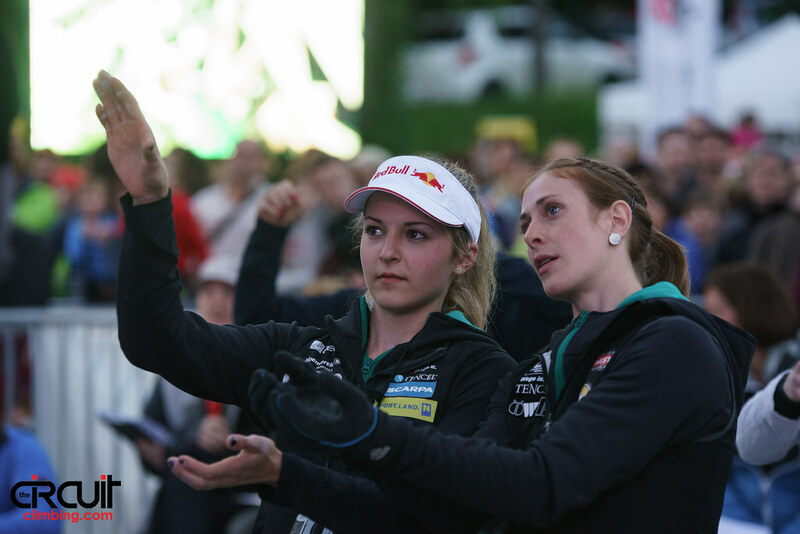 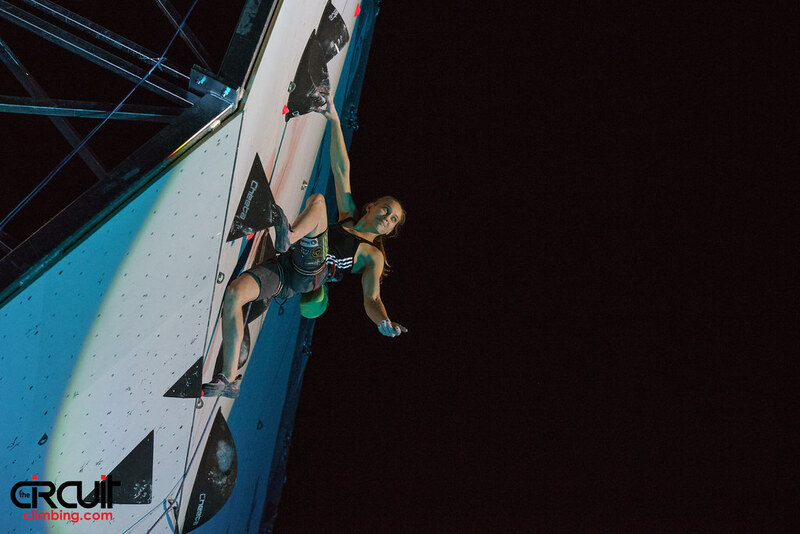 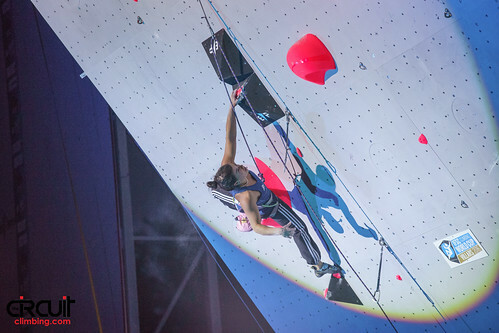 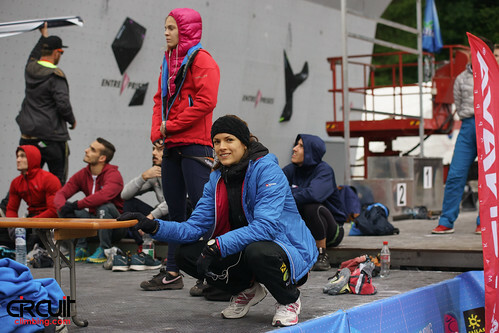 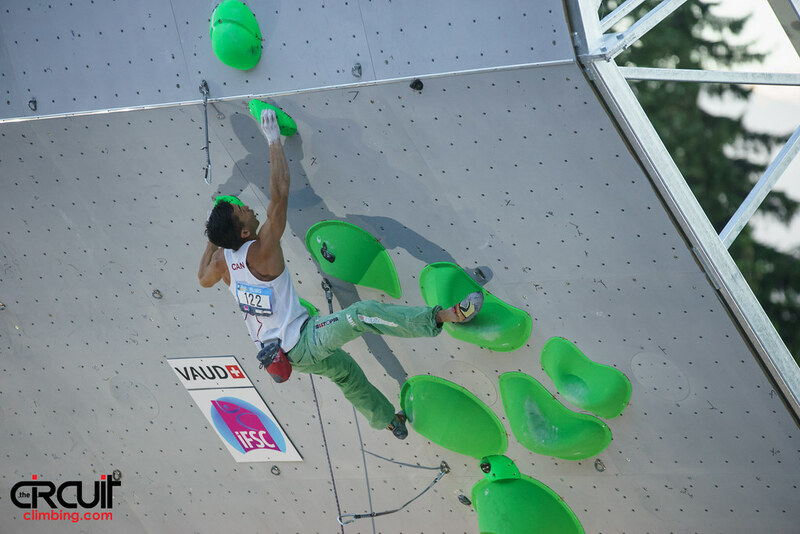 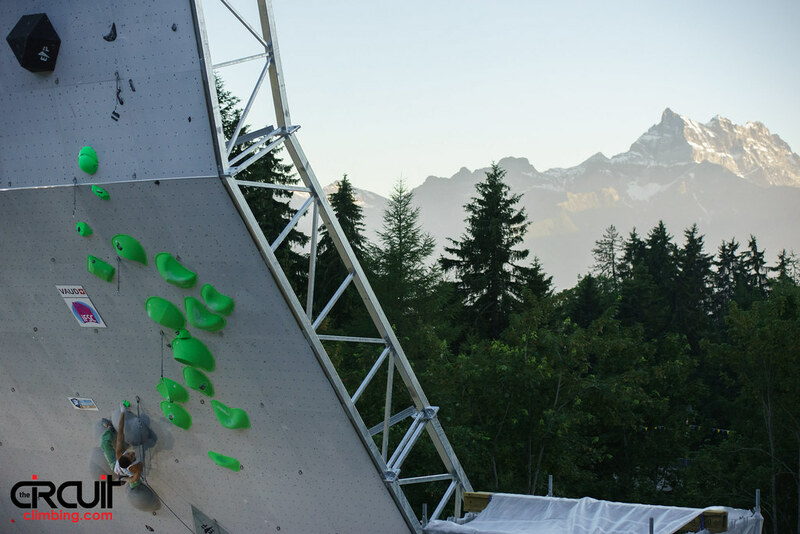 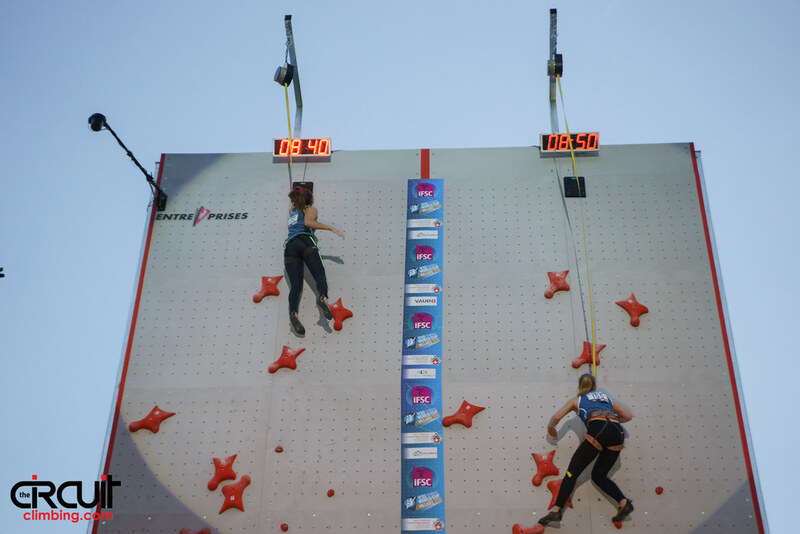 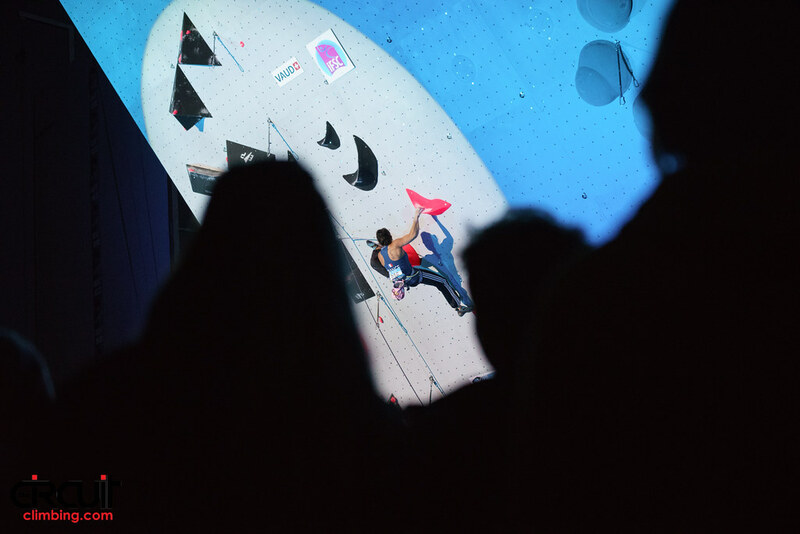 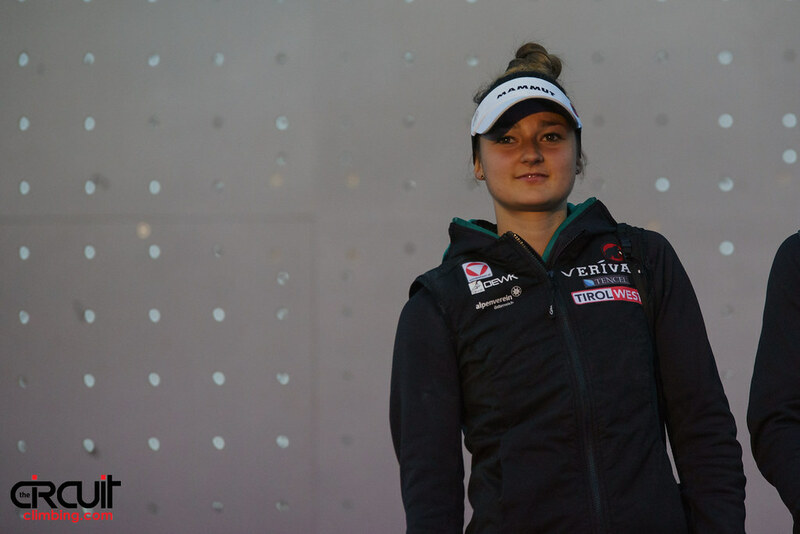 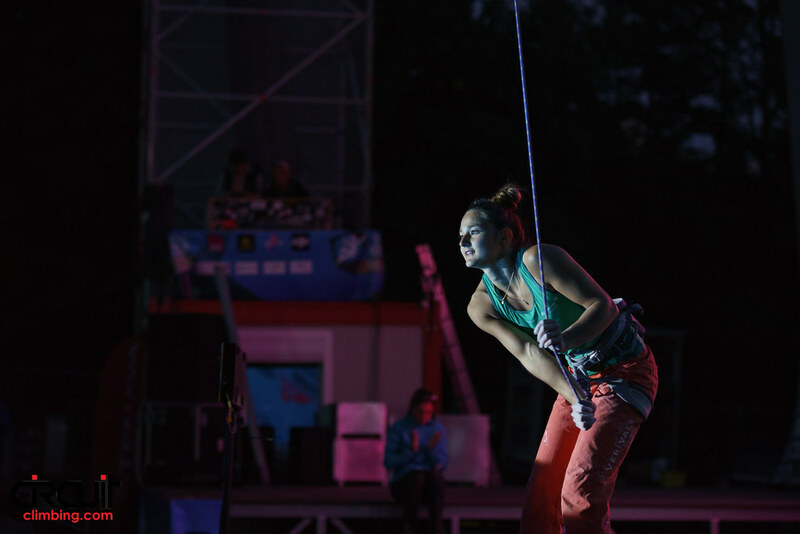 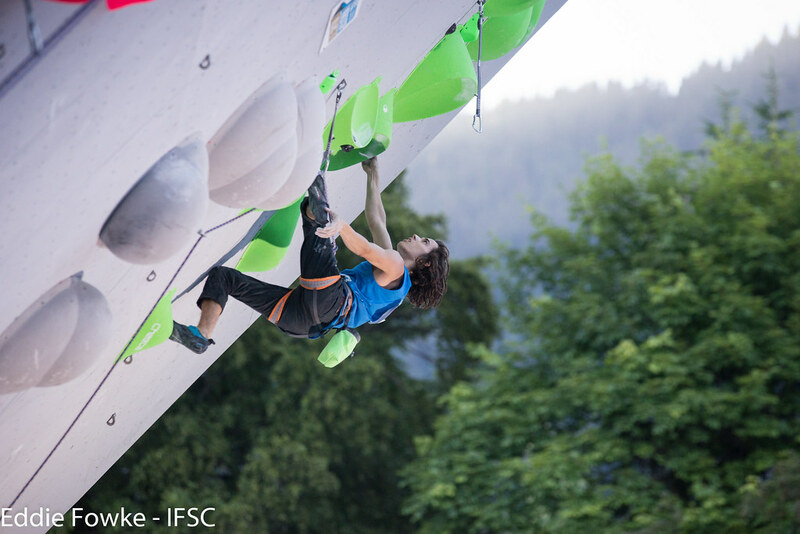 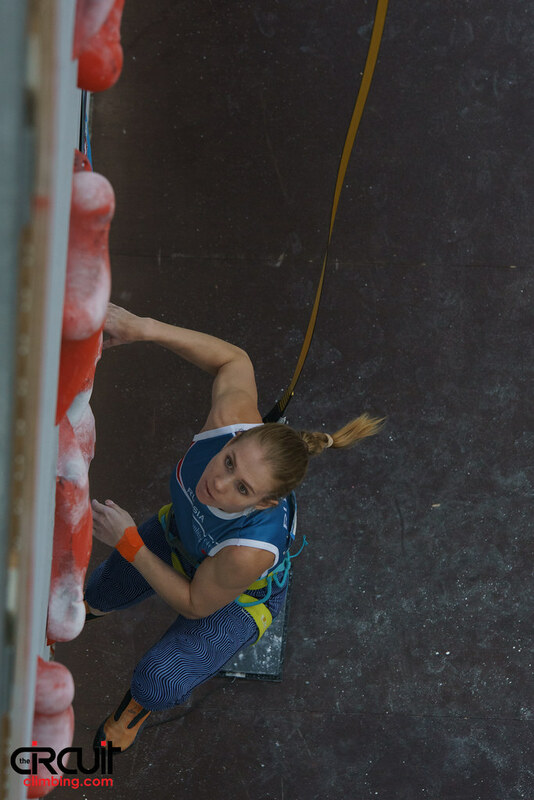 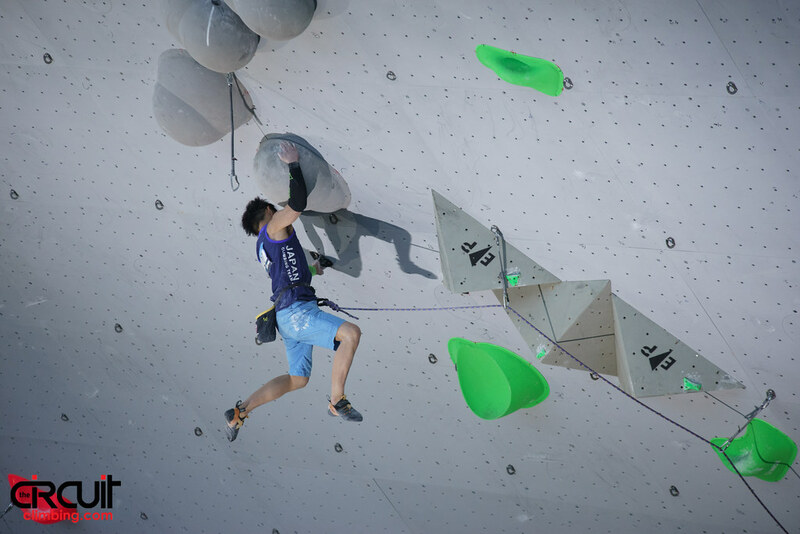 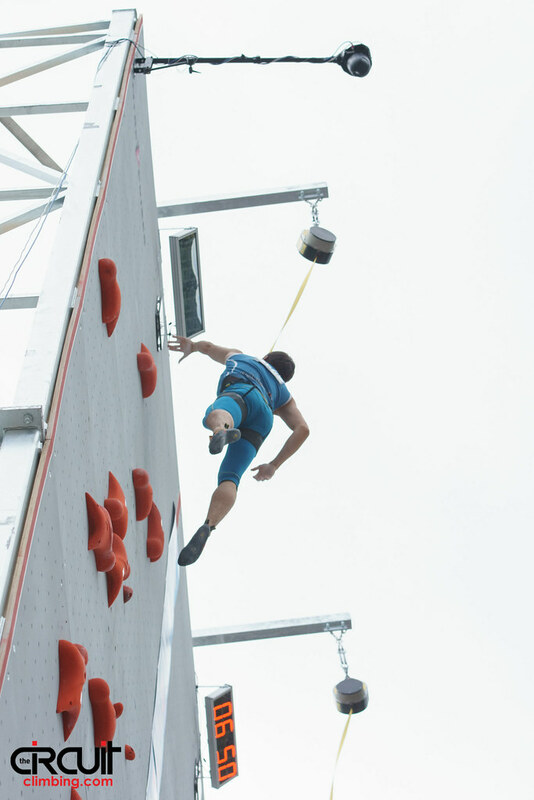 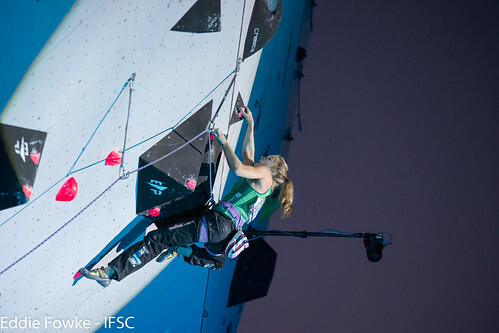 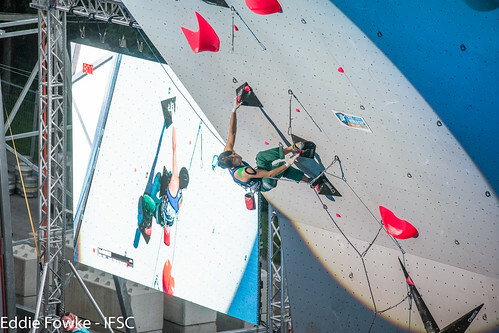 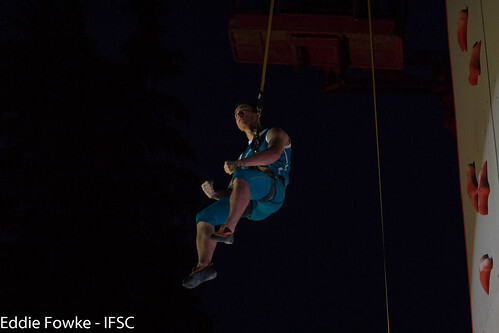 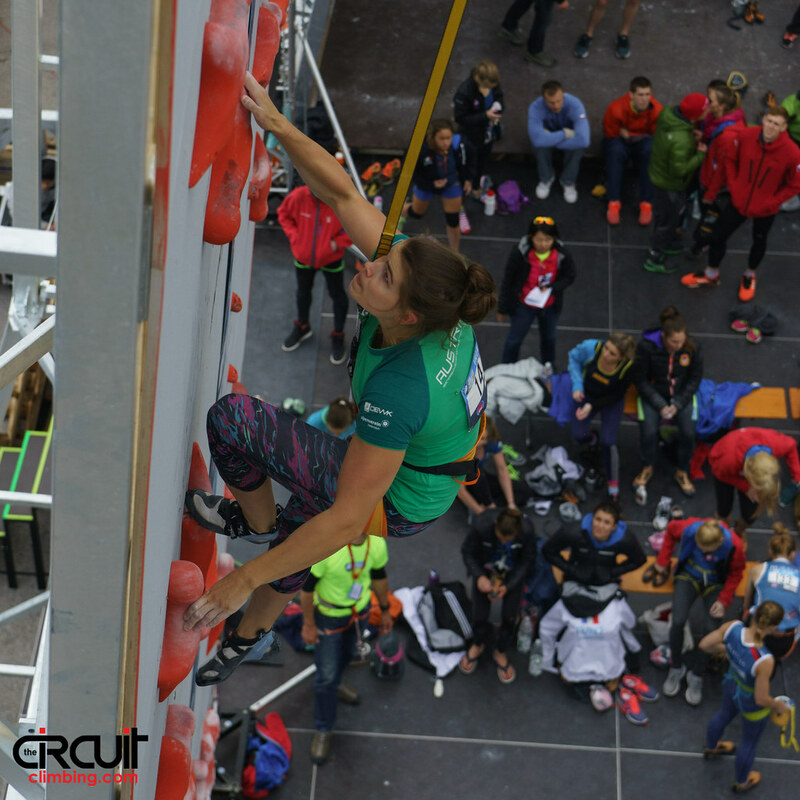 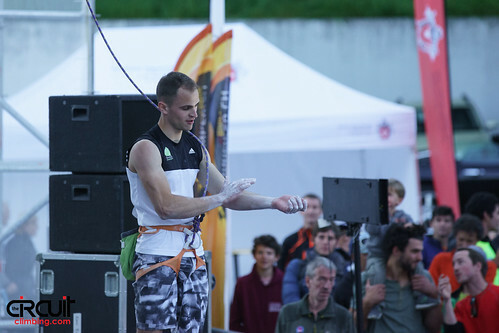 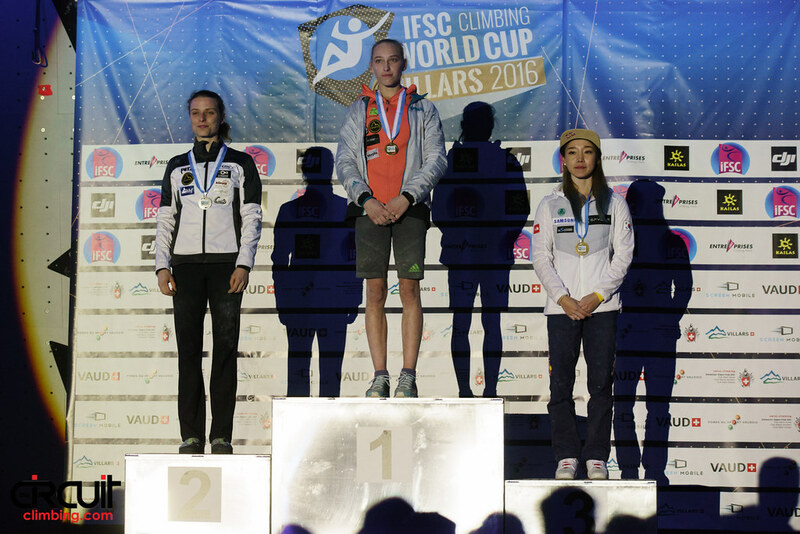 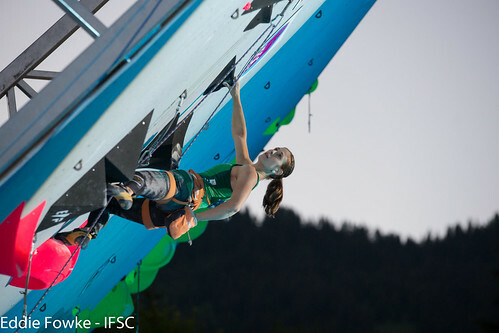 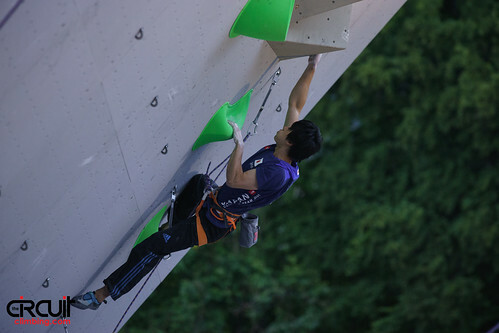 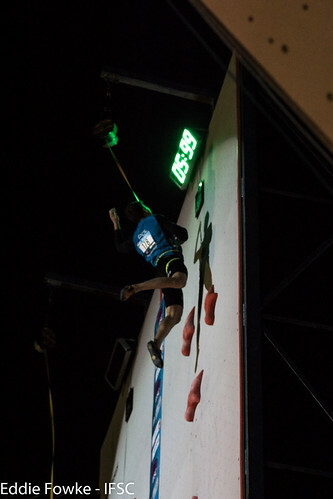 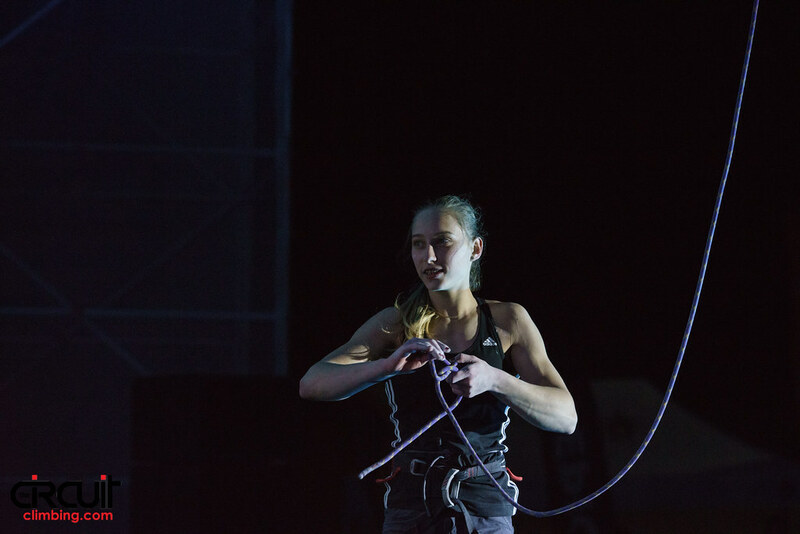 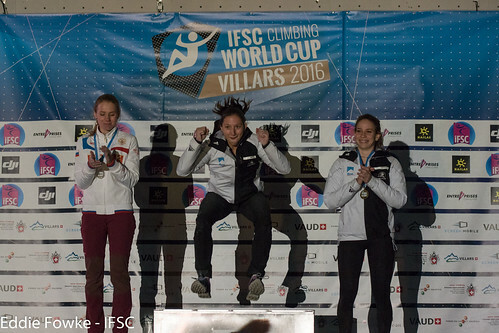 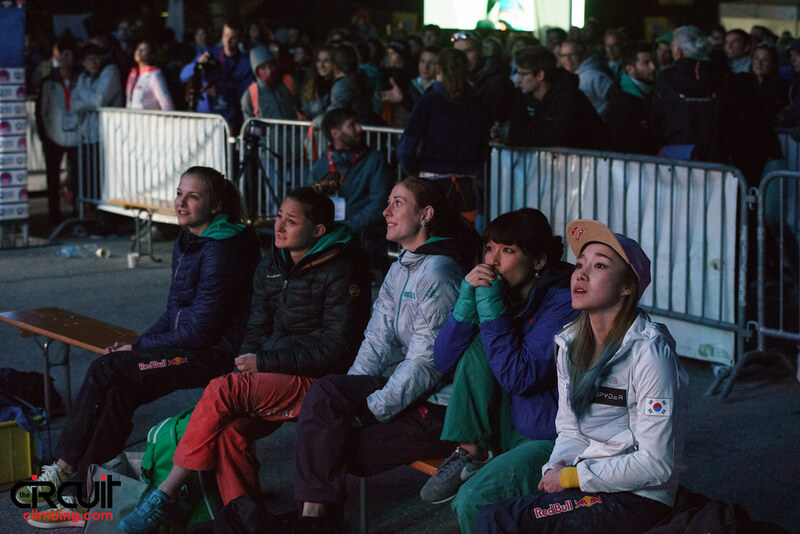 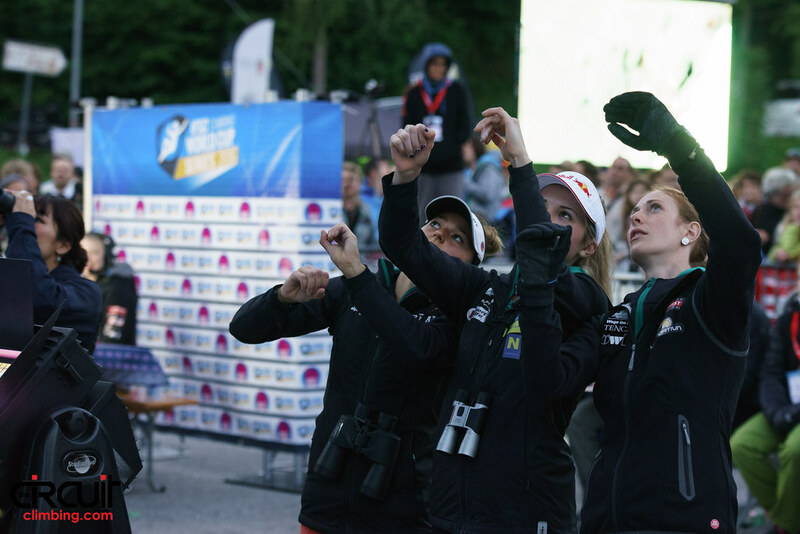 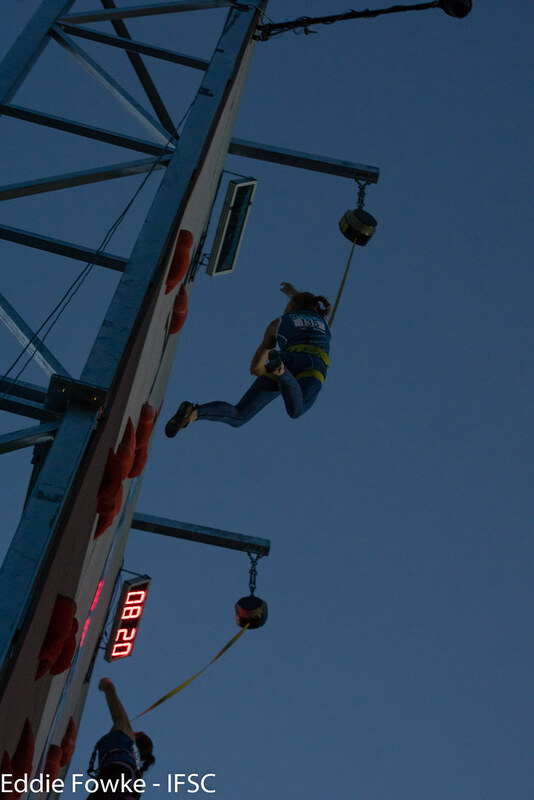 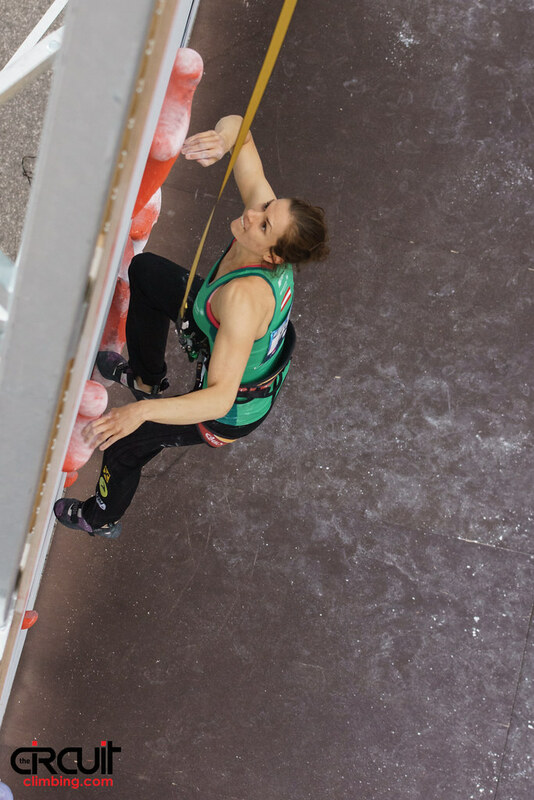 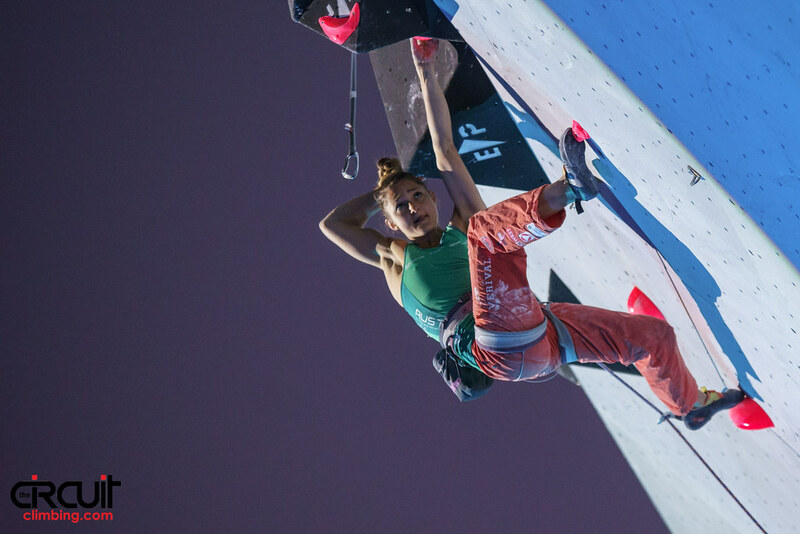 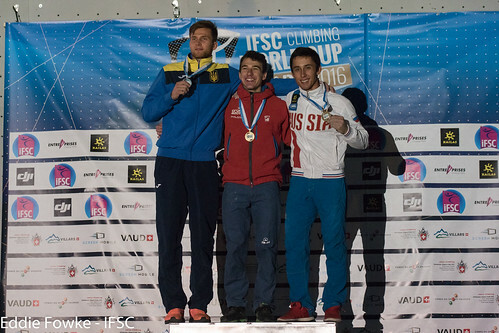 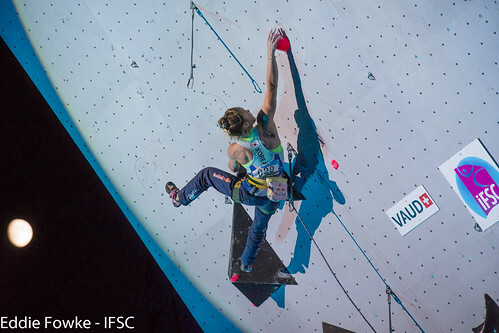 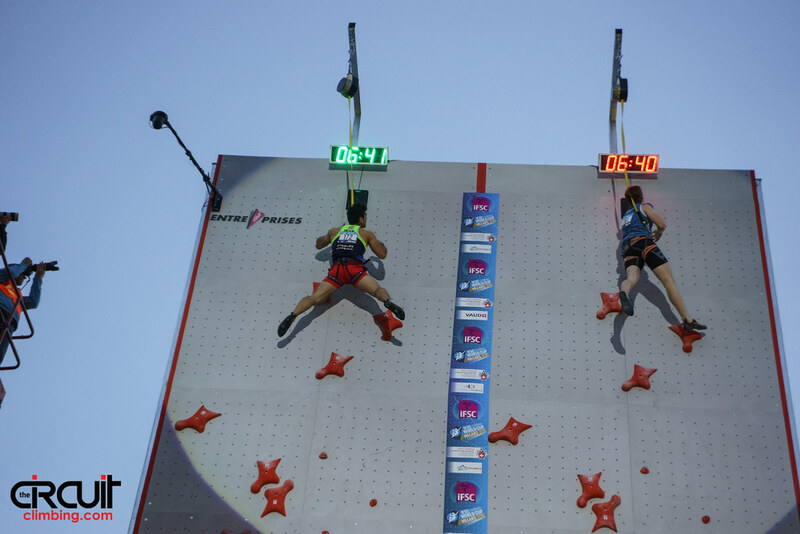 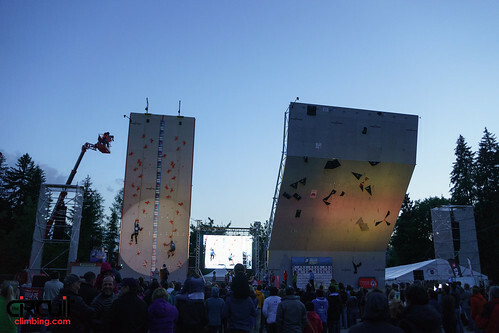 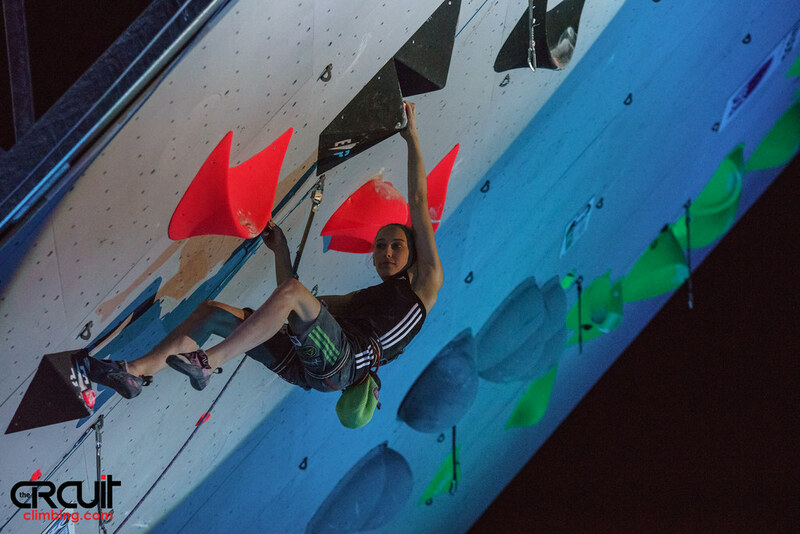 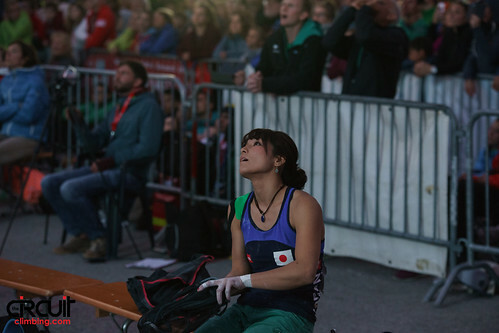 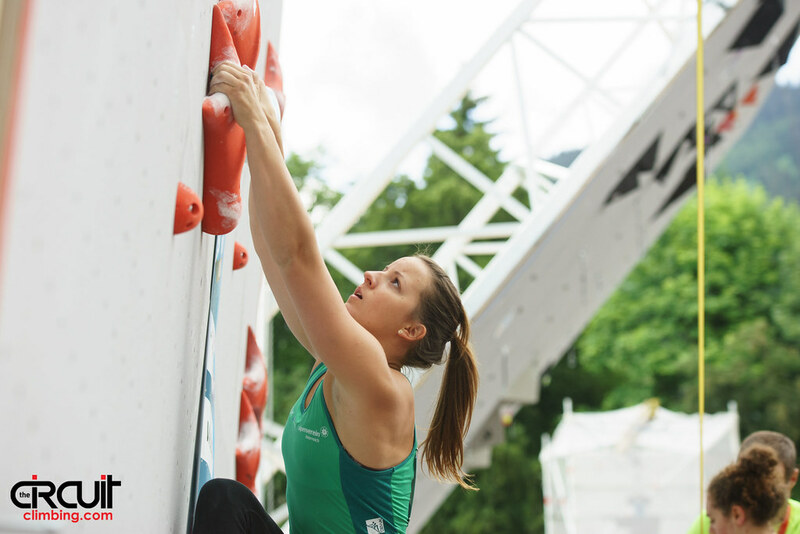 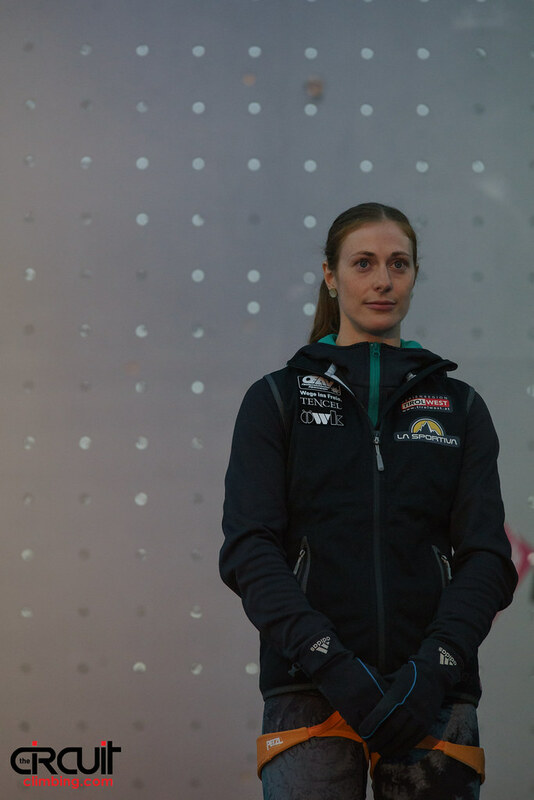 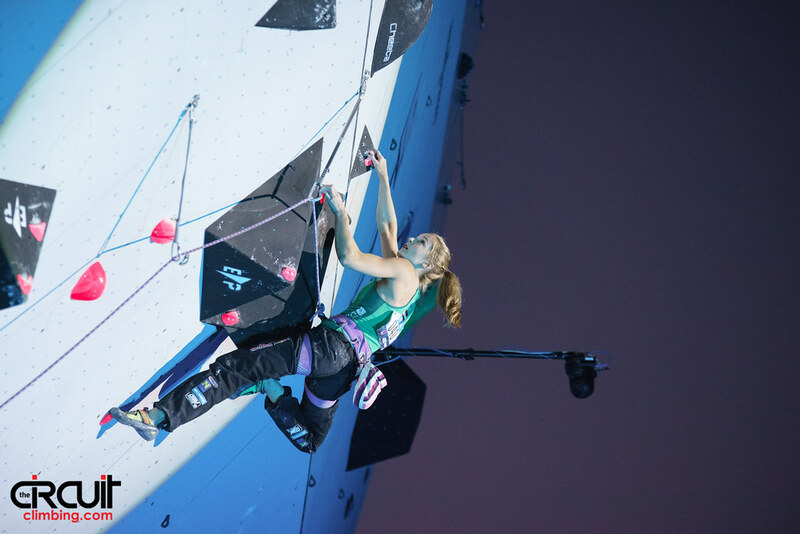 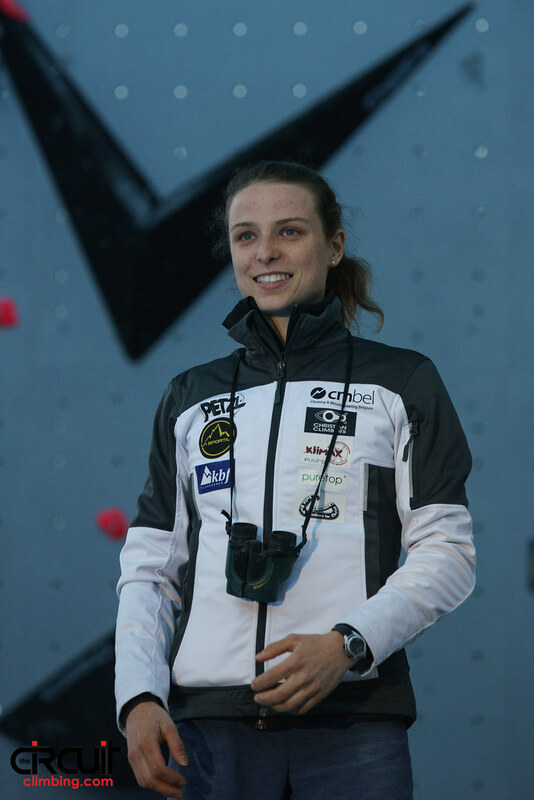 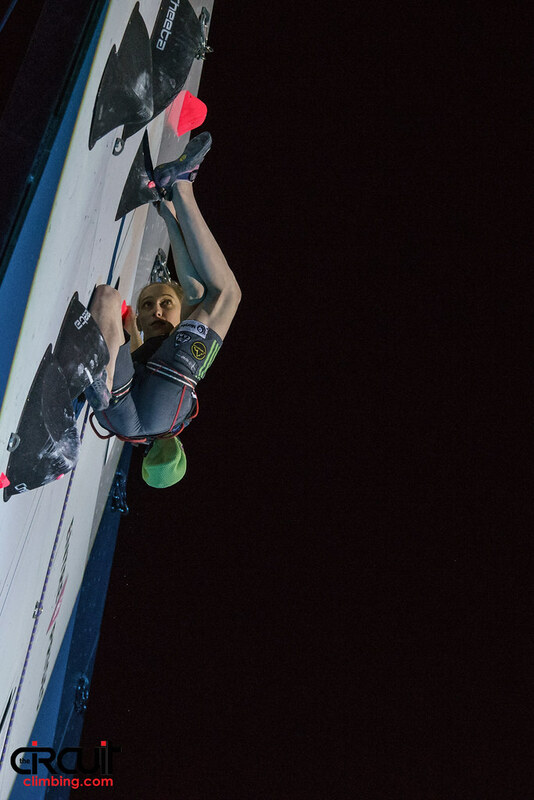 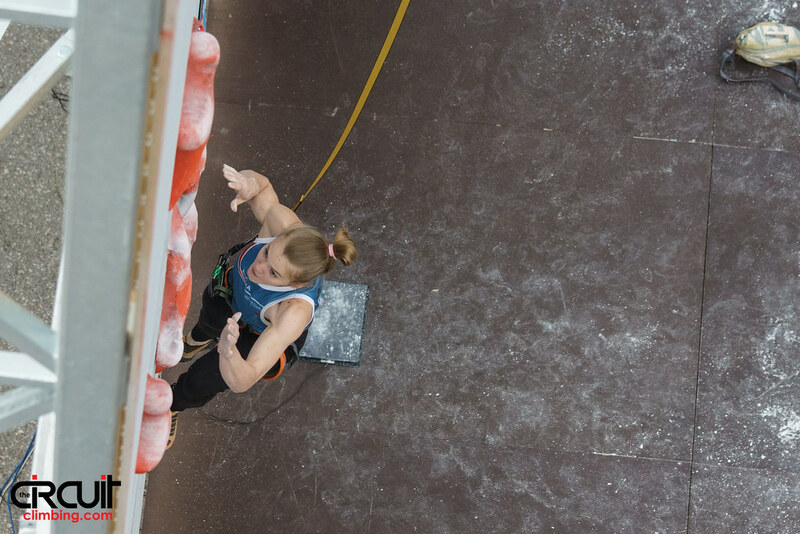 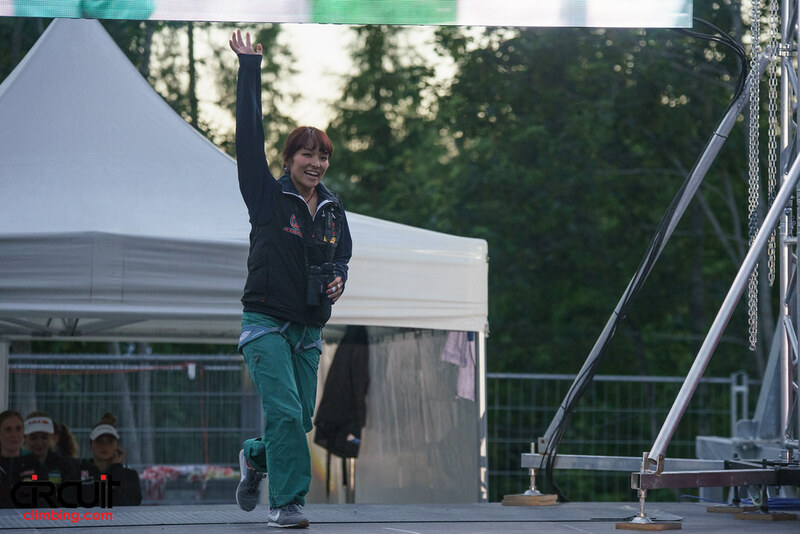 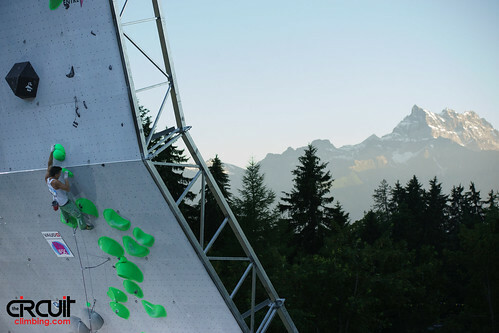 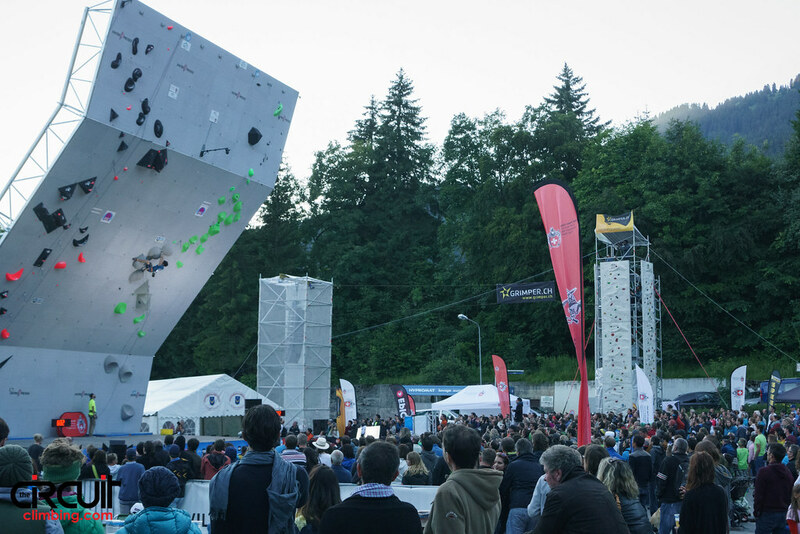 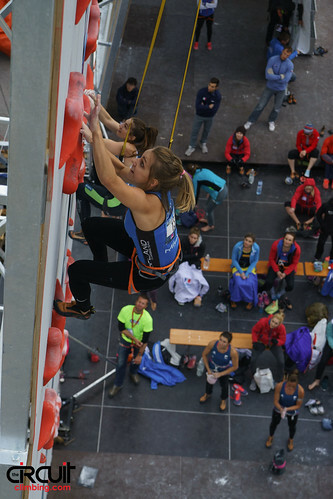 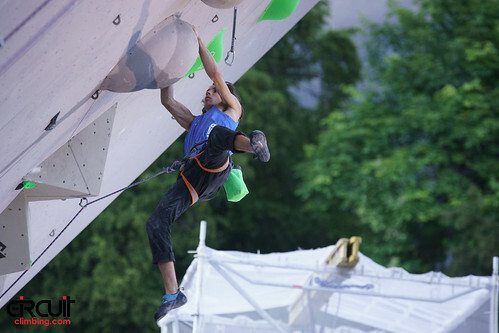 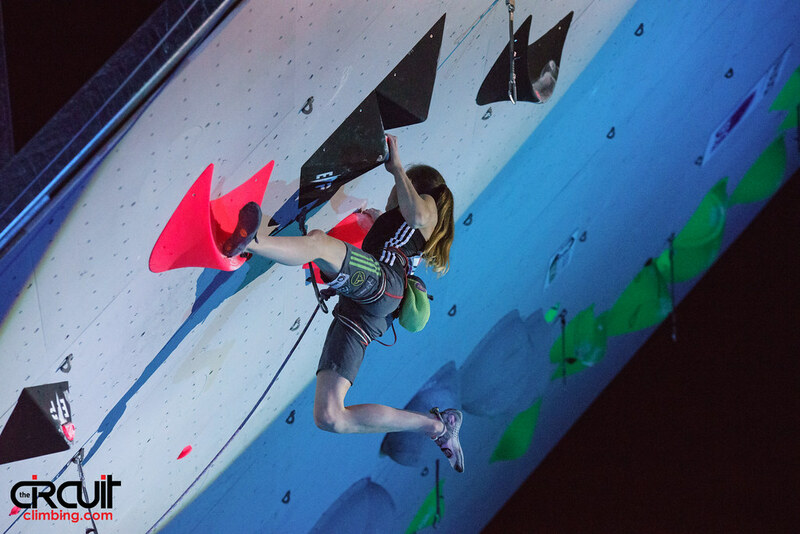 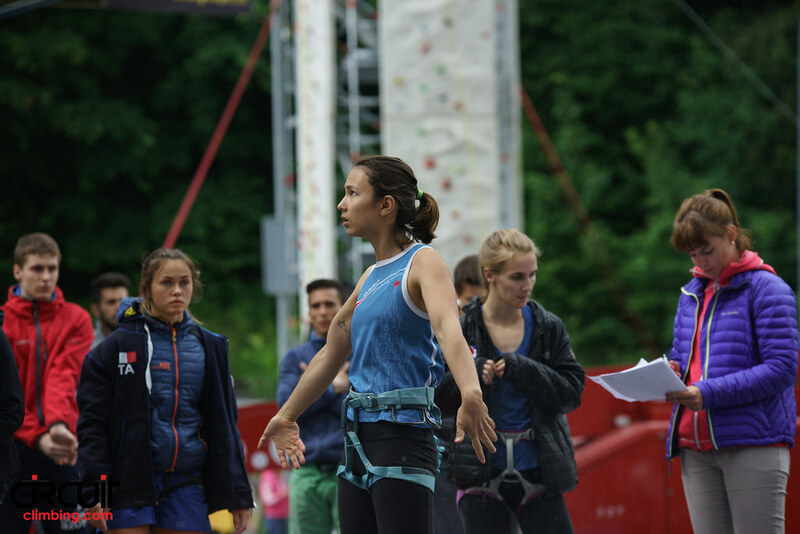 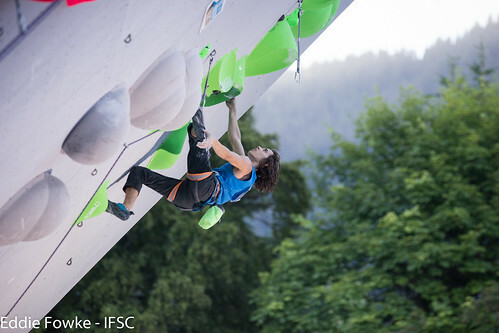 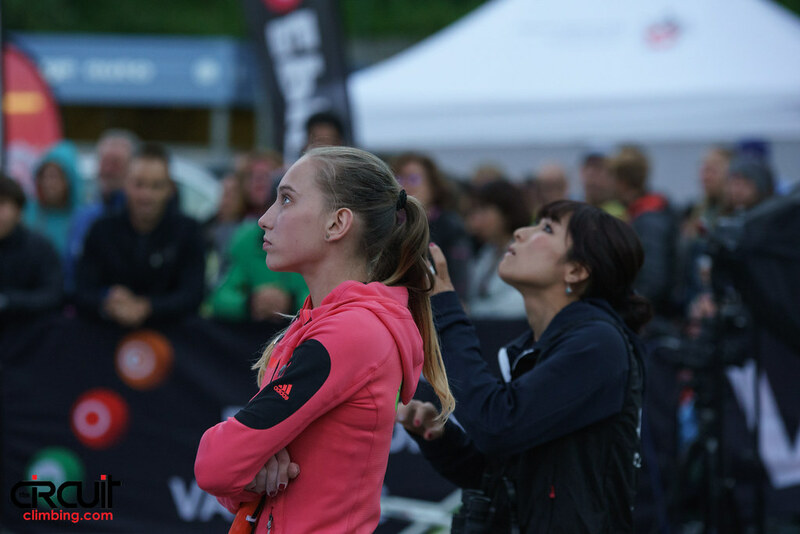 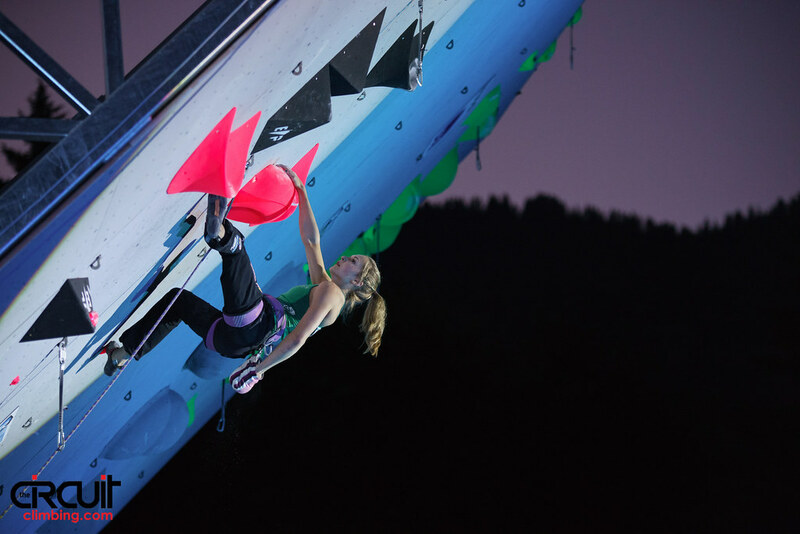 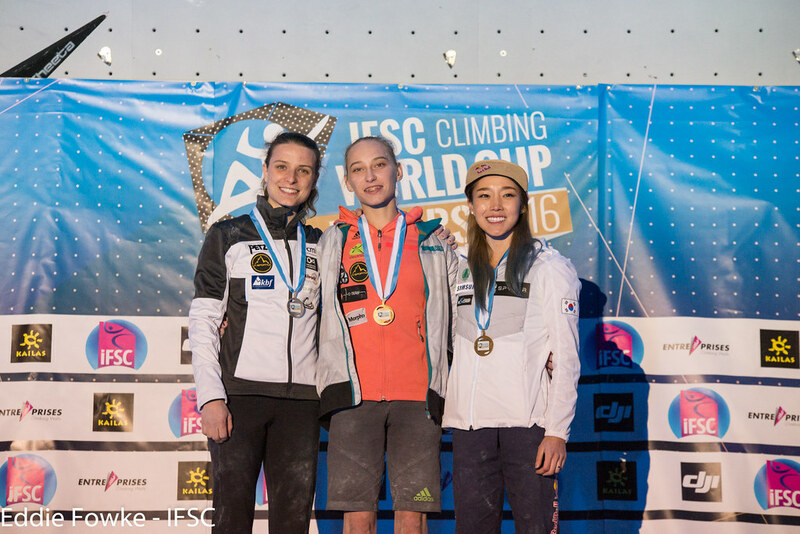 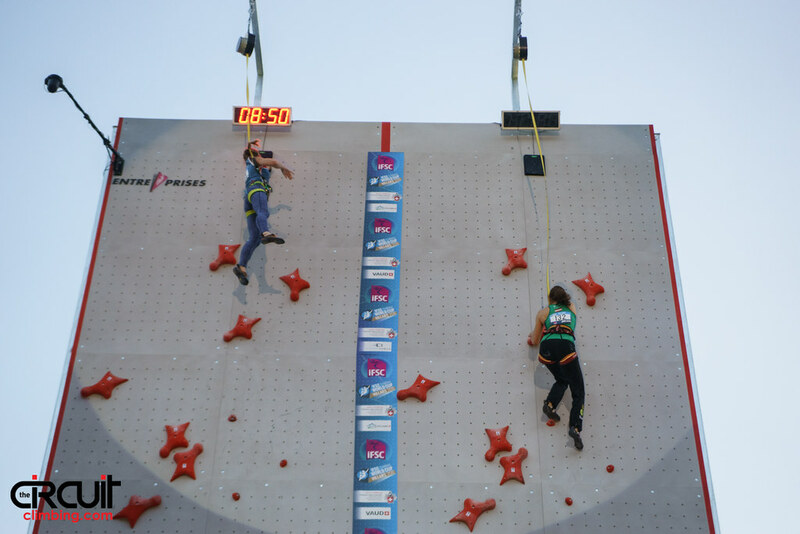 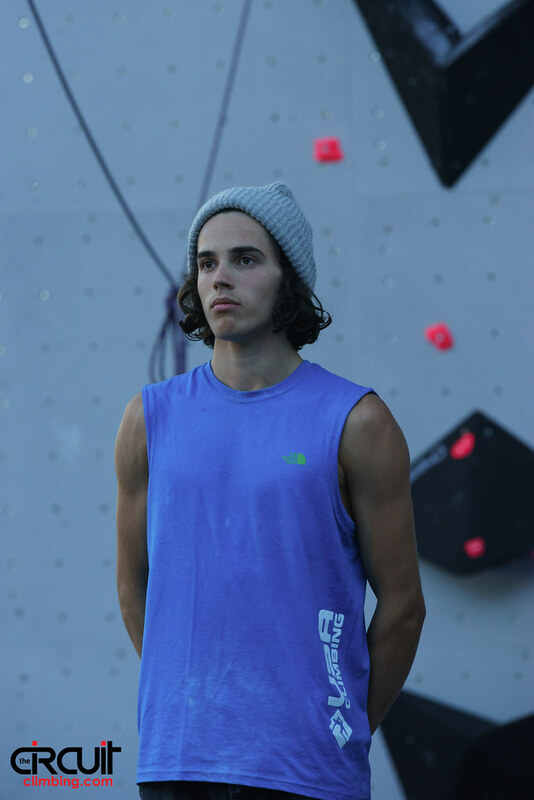 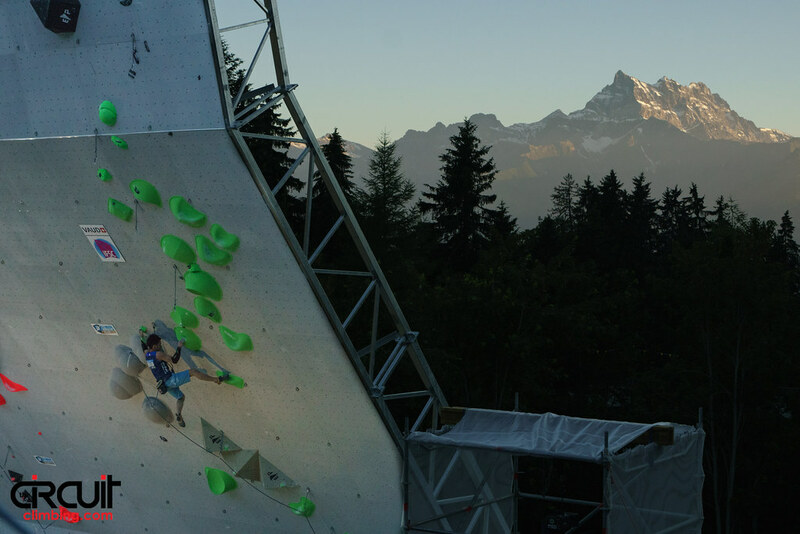 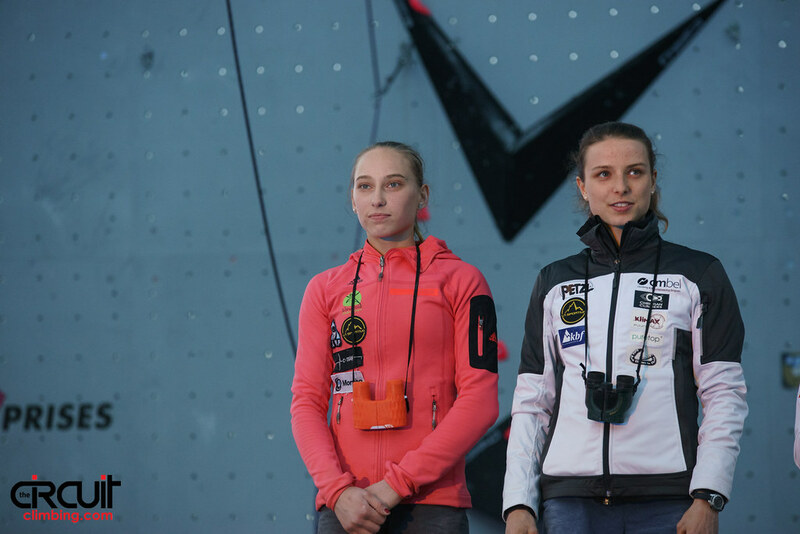 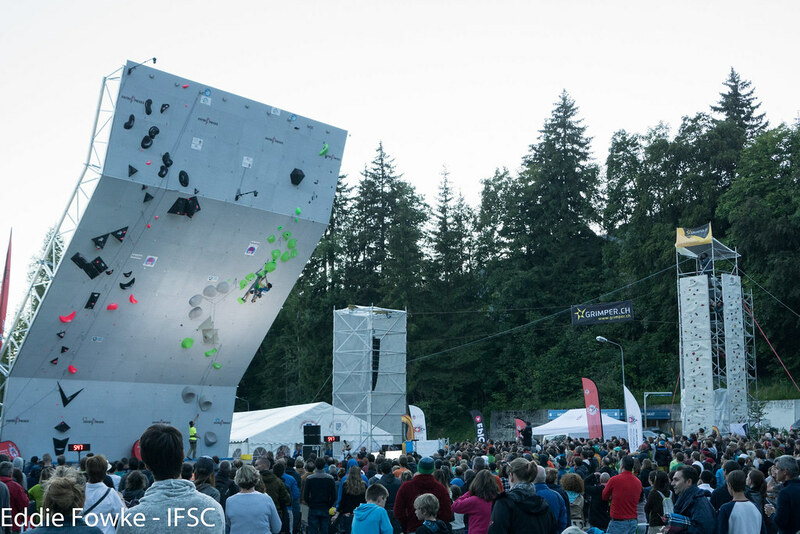 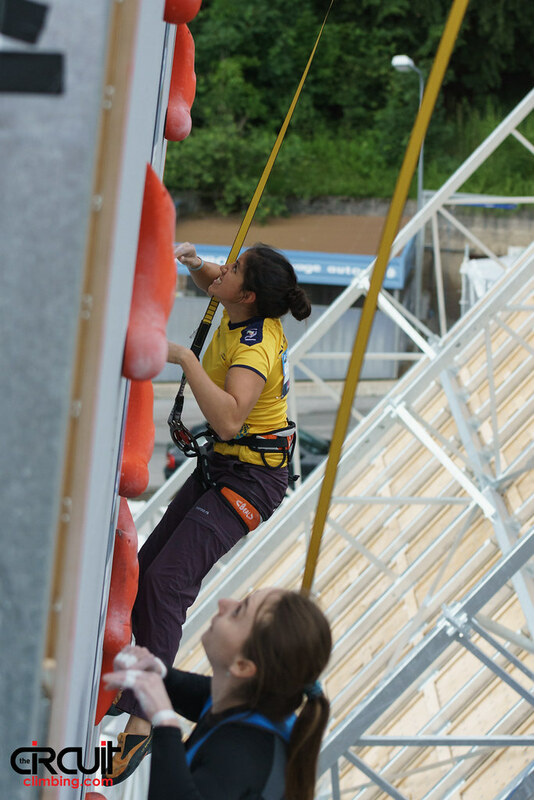 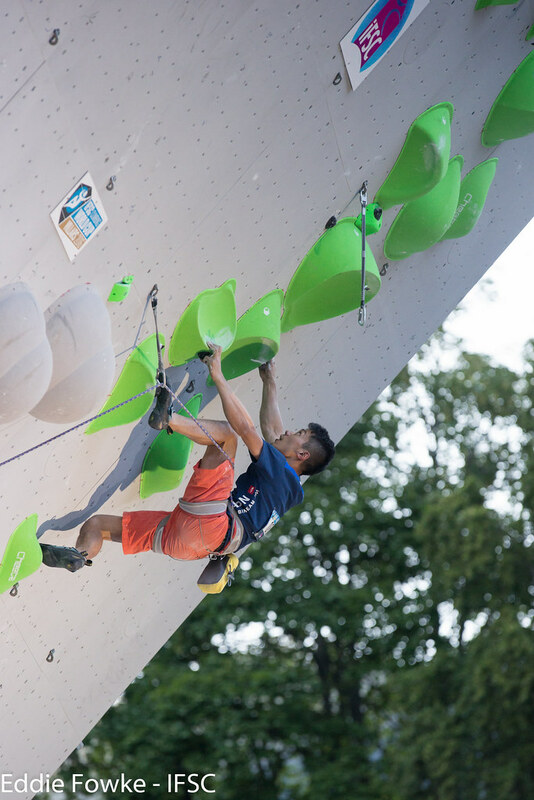 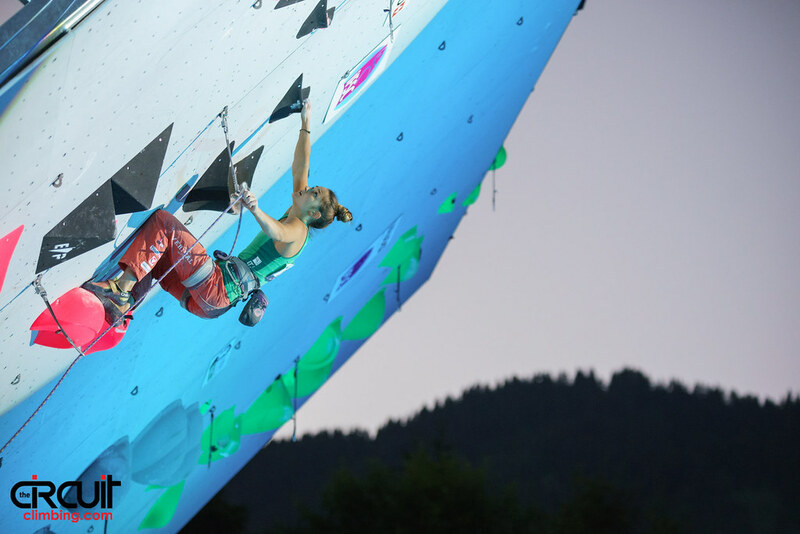 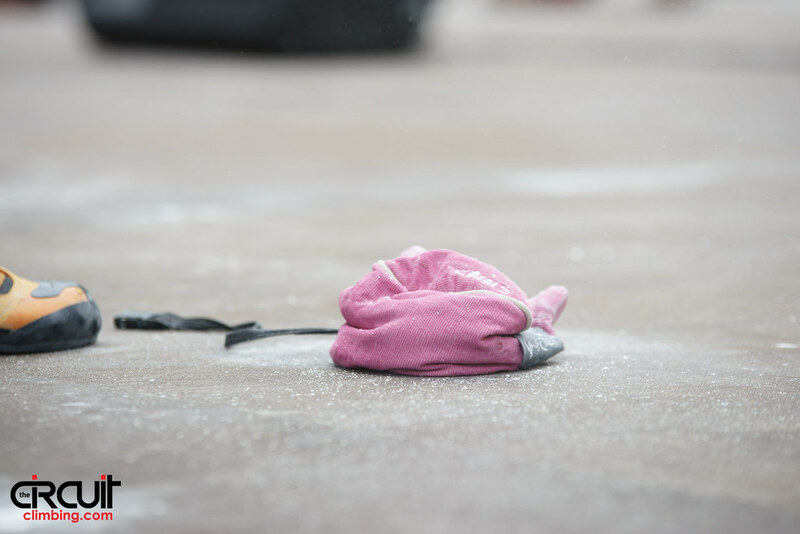 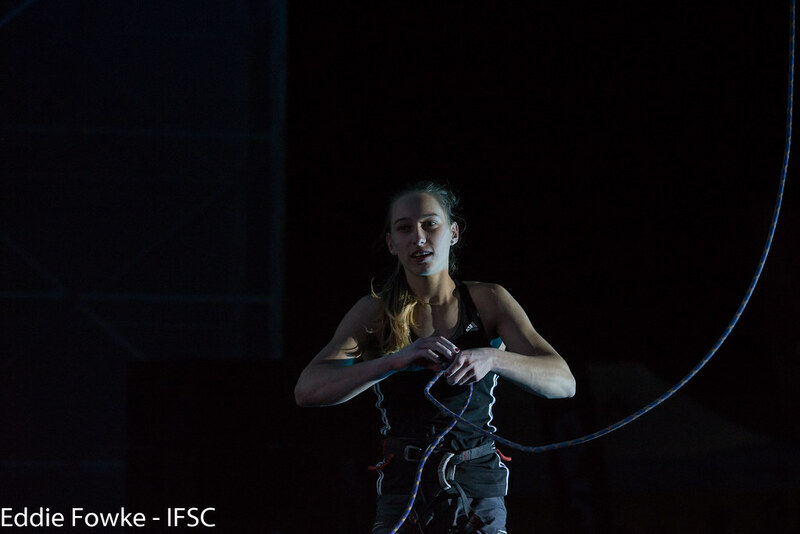 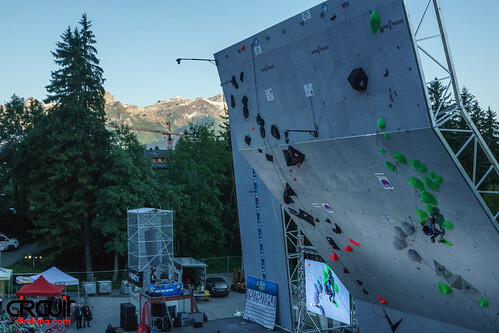 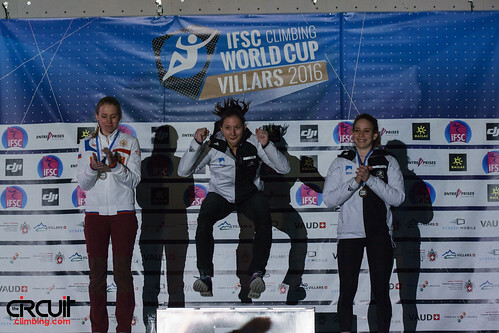 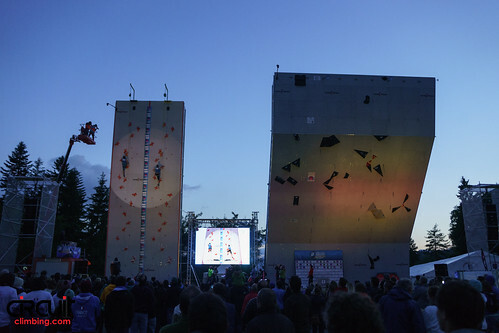 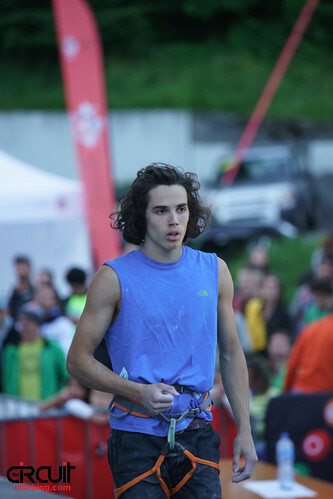 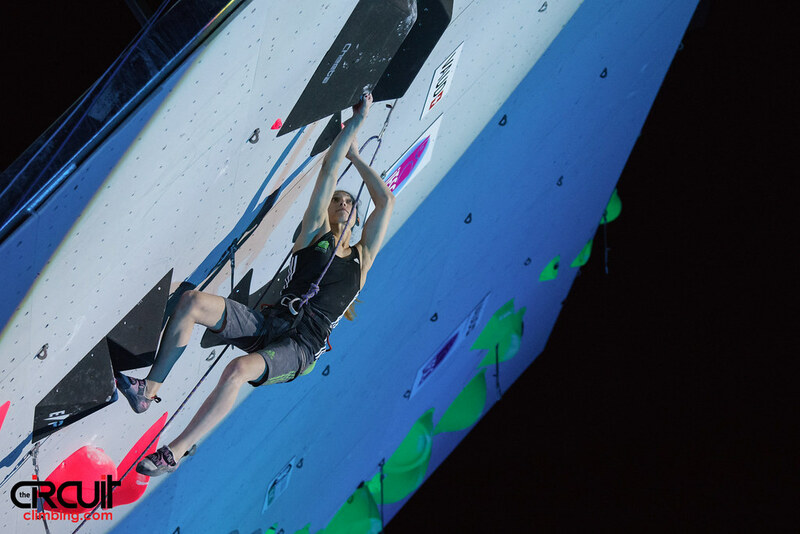 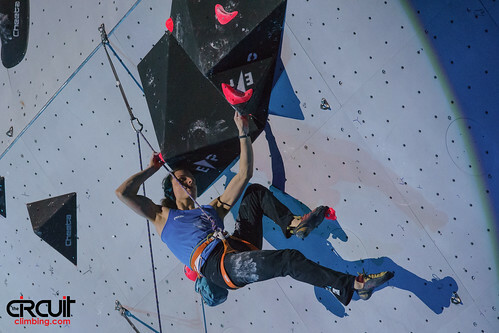 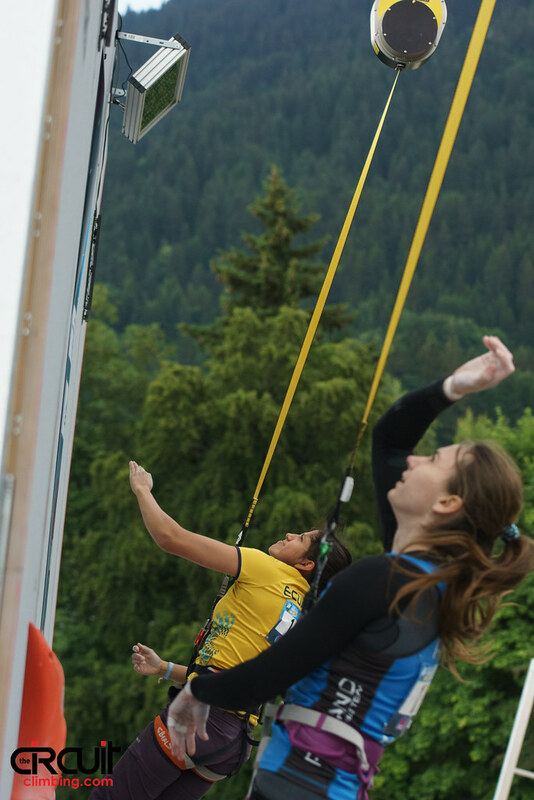 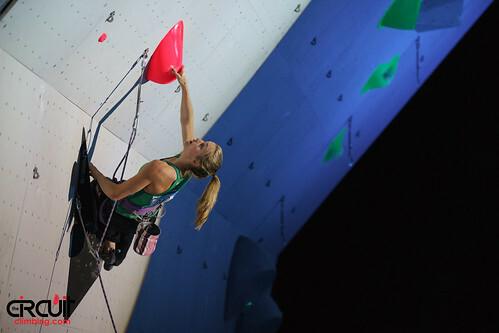 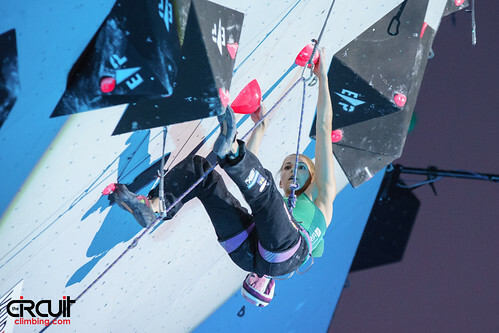 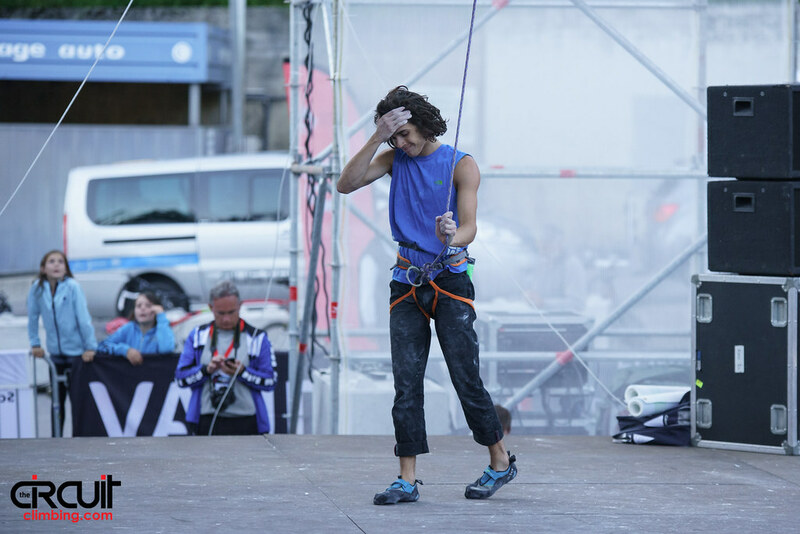 Fans of Sport Climbing and IFSC athletes endured brisk weather for the Speed and Lead Finals on Friday and Saturday at the first ever World Cup in Villars. 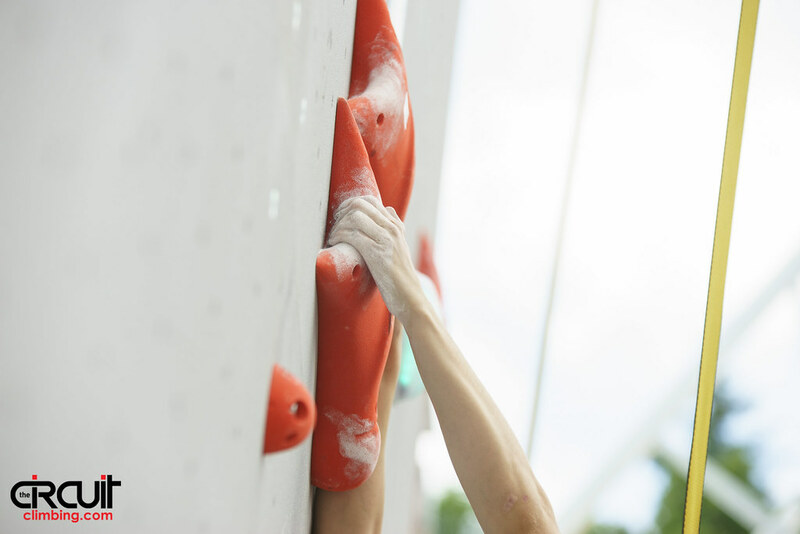 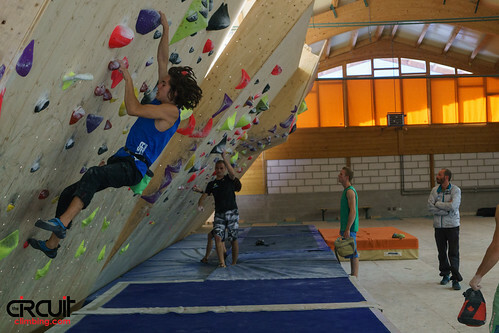 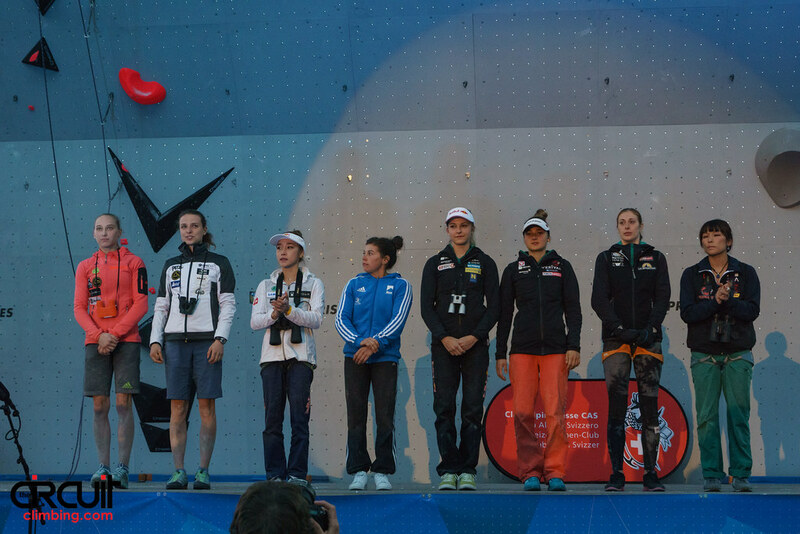 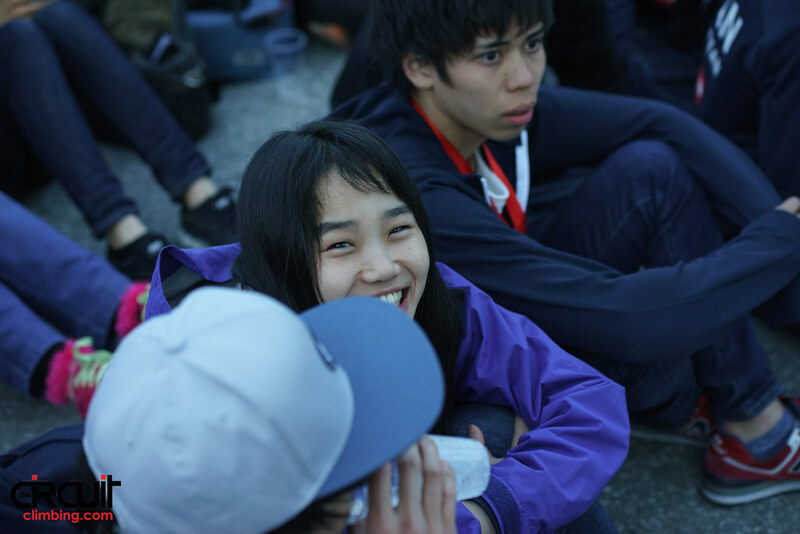 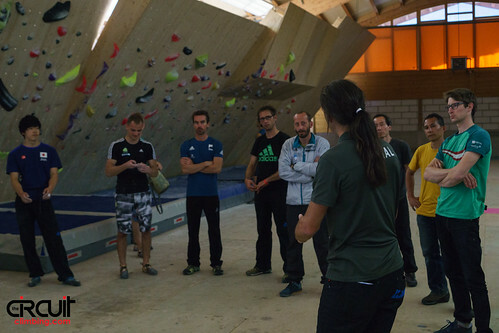 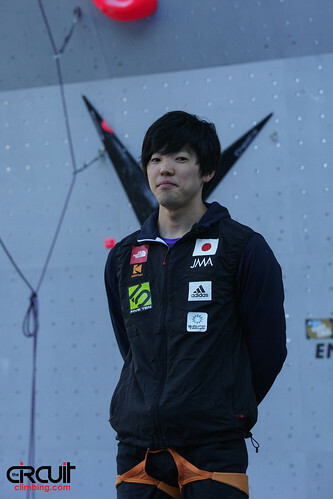 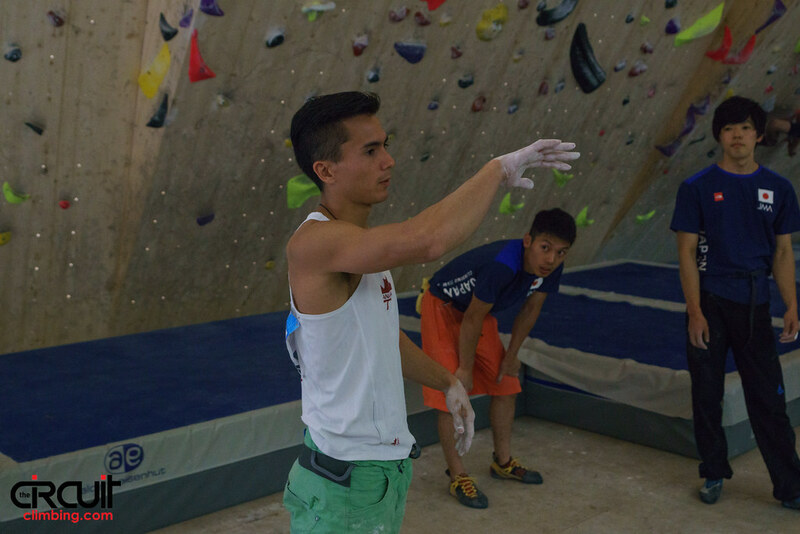 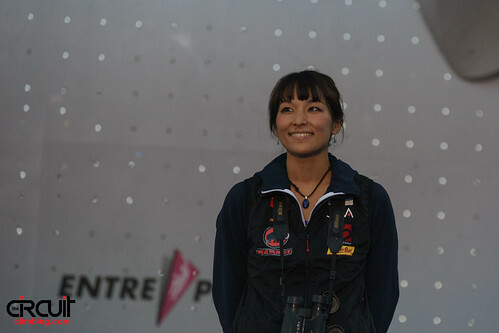 New climbers cracked the top ranks, but in the end similar faces were smiling atop the podium. 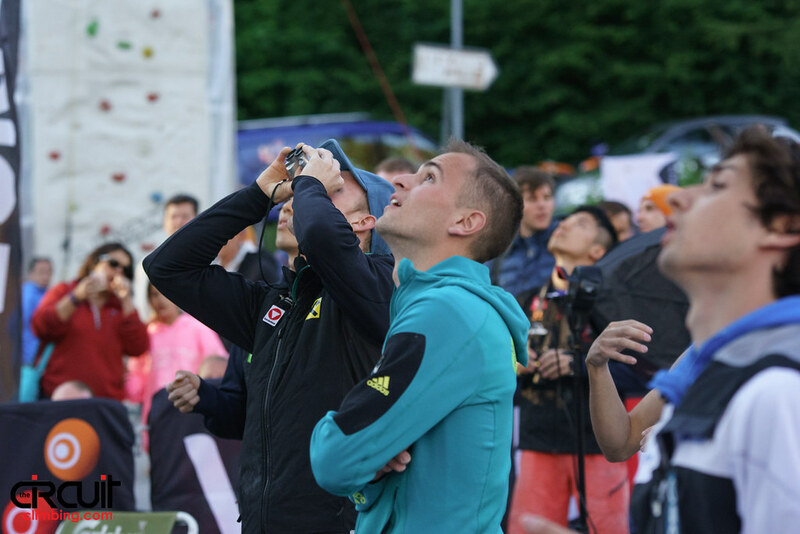 Speed fans witnessed a few surprises on Friday, including the ousting of former frontrunner Libor Hroza of the Czech Republic early in the Finals by Arsenii Shevchenko. 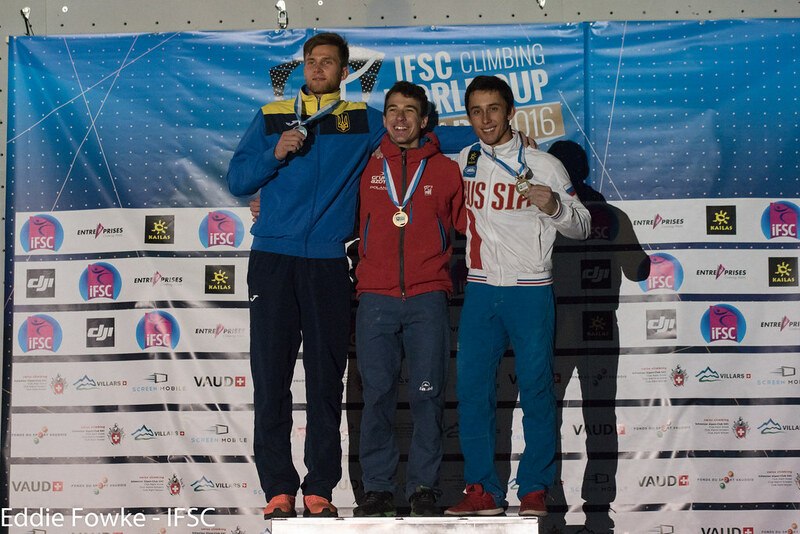 Despite a significant slip from Danyil Boldyrev of Ukraine in the final face-off, Dzienski still posted a blistering 5.99 for Gold. 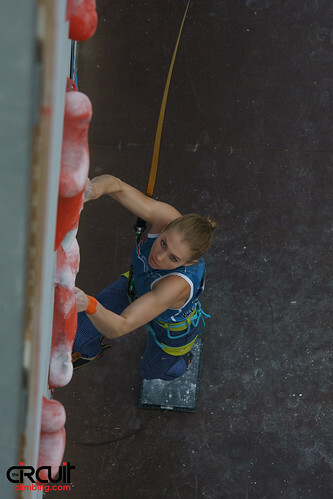 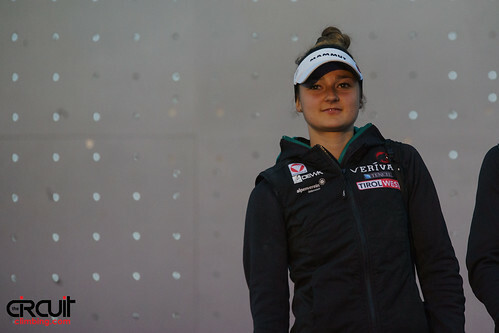 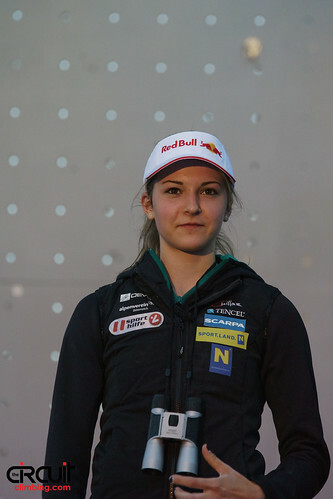 For the womenIuliia Kaplina of Russia rebounded after missing the Finals in Chamonix, but Jaubert held her ground in the last contest while Kaplina miscued. 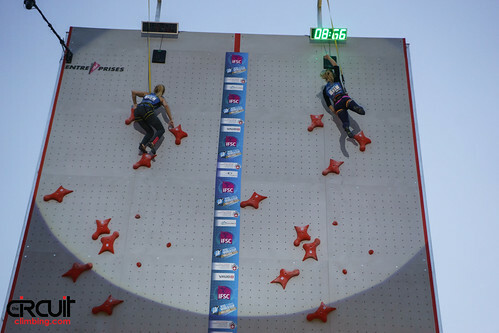 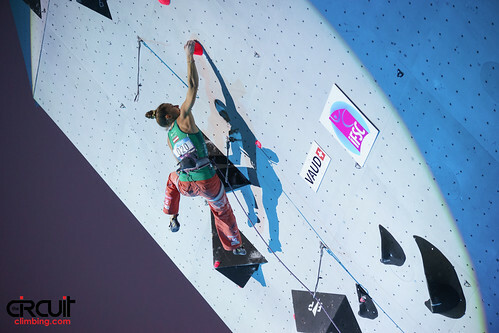 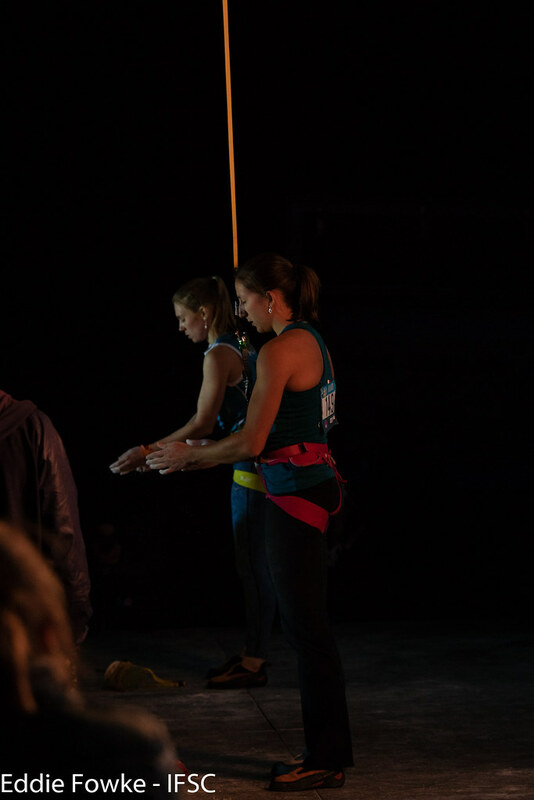 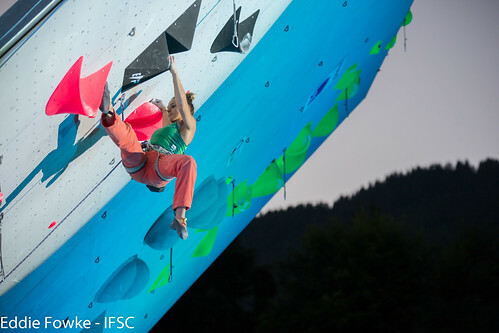 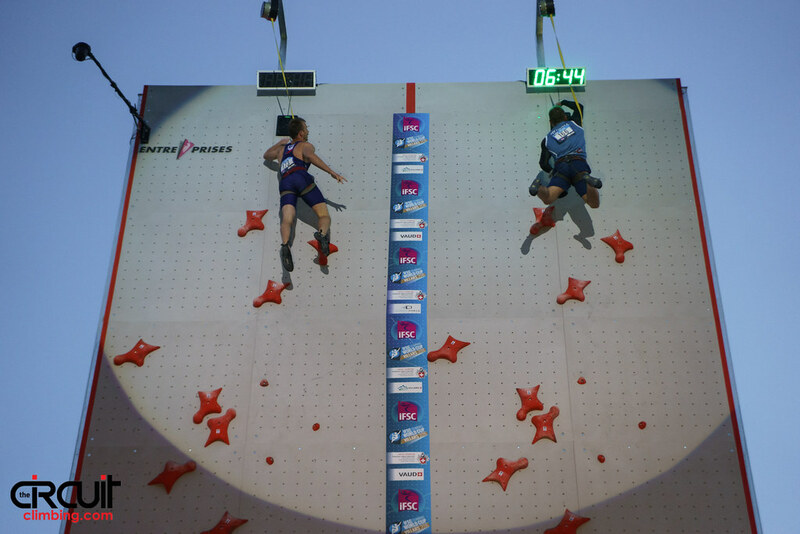 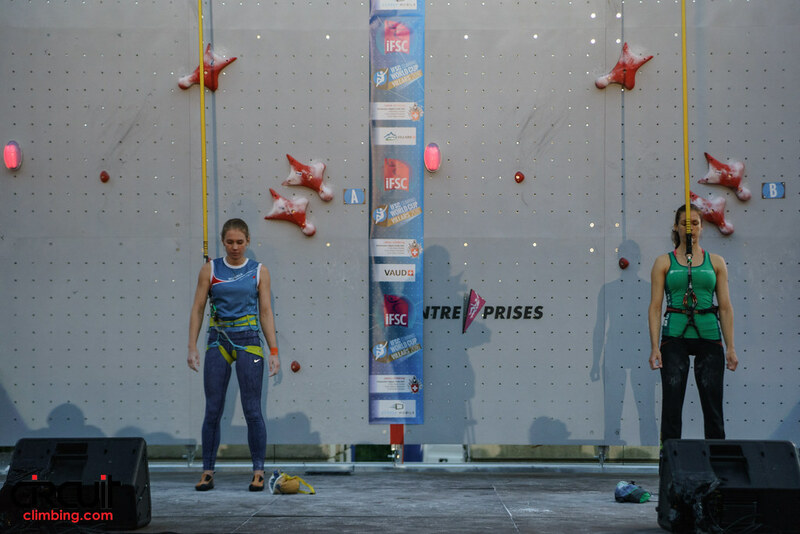 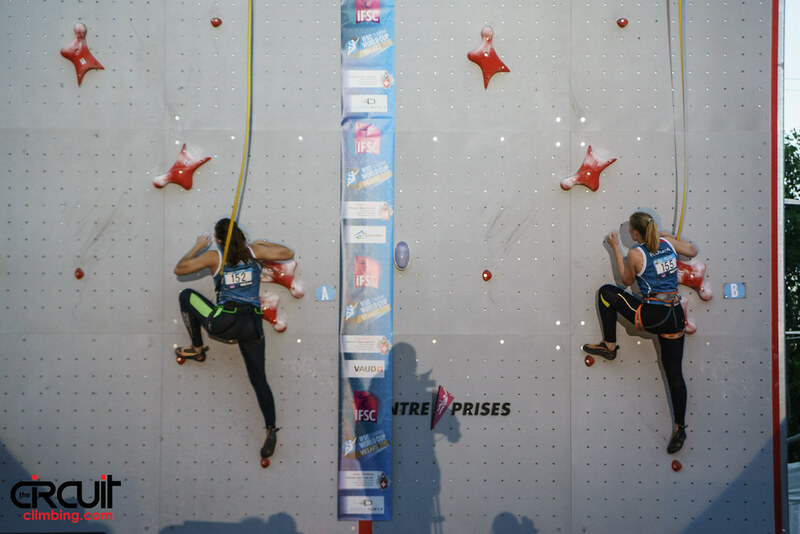 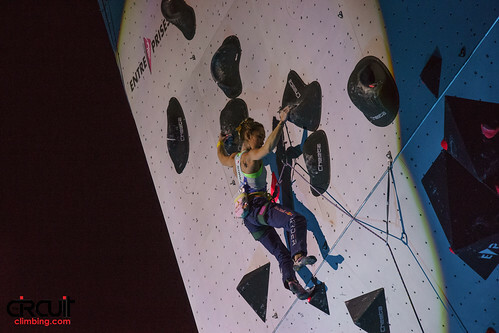 The Lead Finals for the Women wrapped up in identical fashion to Chamonix due to the same two-hand dynamic move to slopers near the Top. 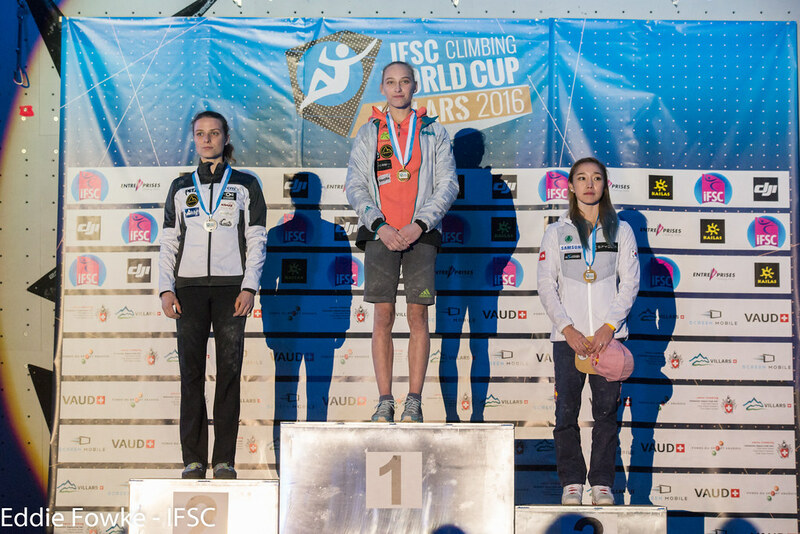 A countback to Semi-Finals earned Anak Verhoeven of Belgium another Silver and Jain Kim a third-place finish, while Austrians Jessica Pilz and Magdalena Röck missed out on the podium. 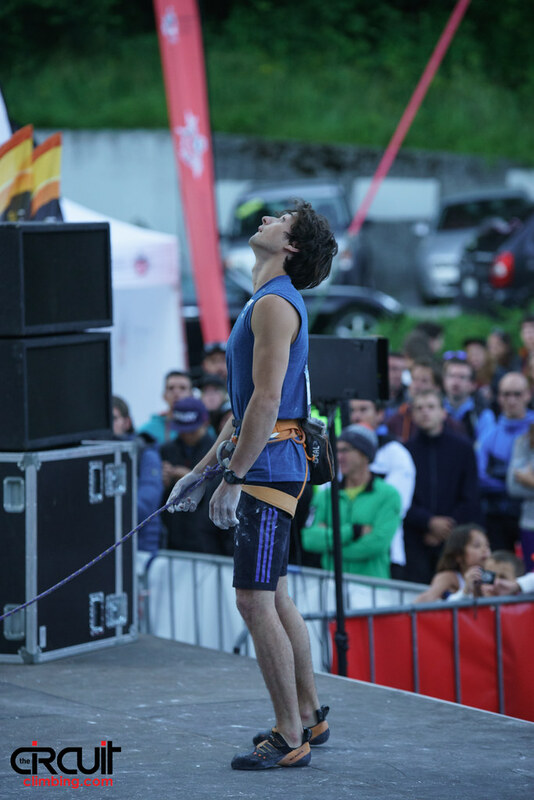 Only Garnbret left the crowd speechless by fighting the pump until one move from the Top. 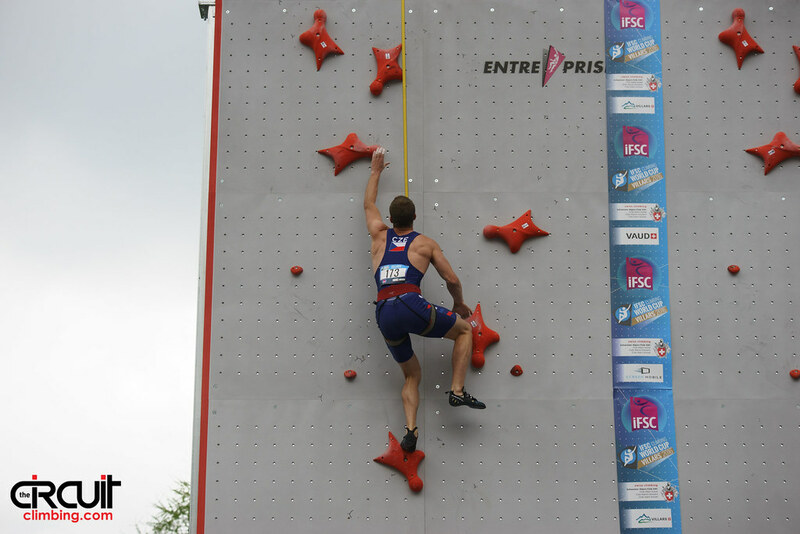 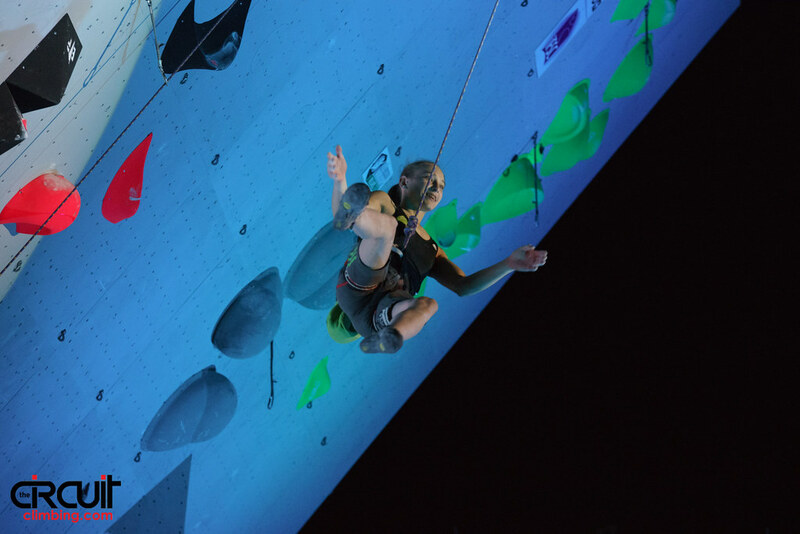 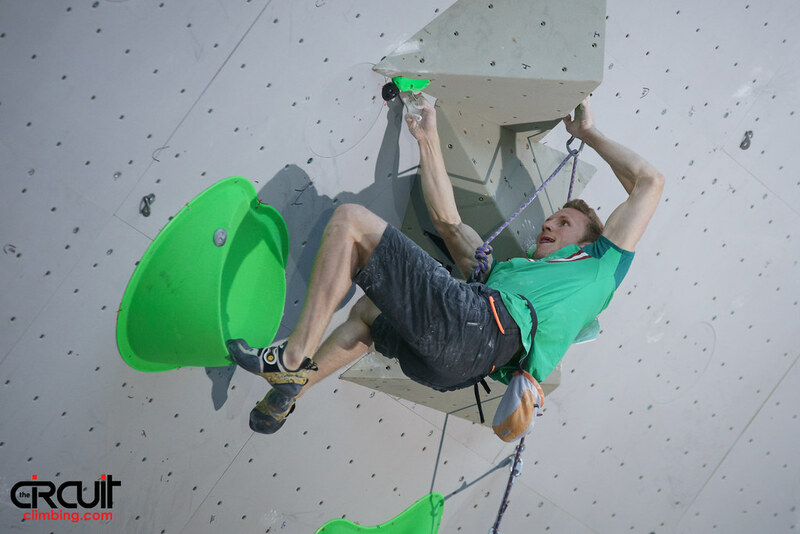 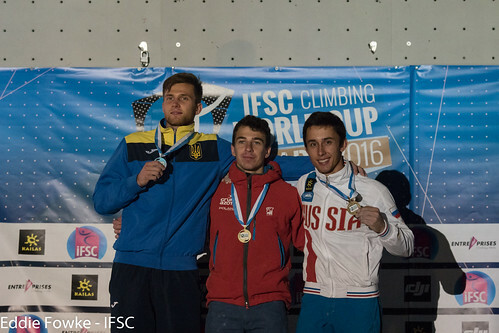 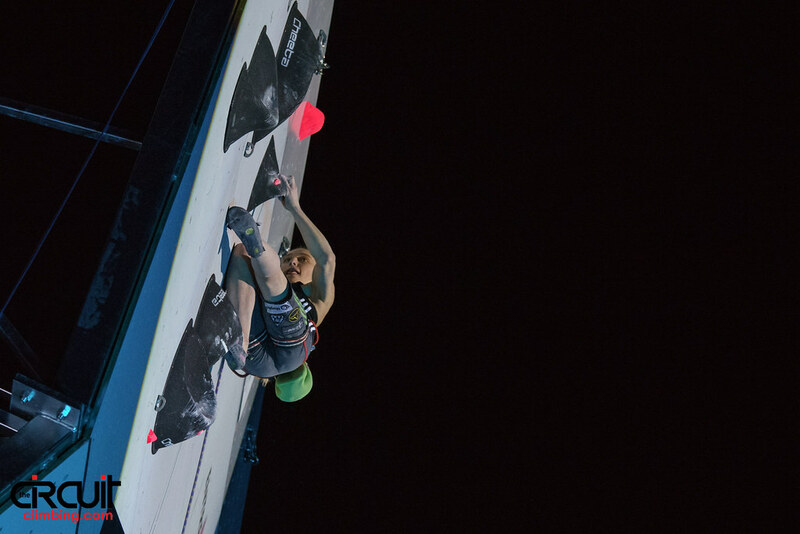 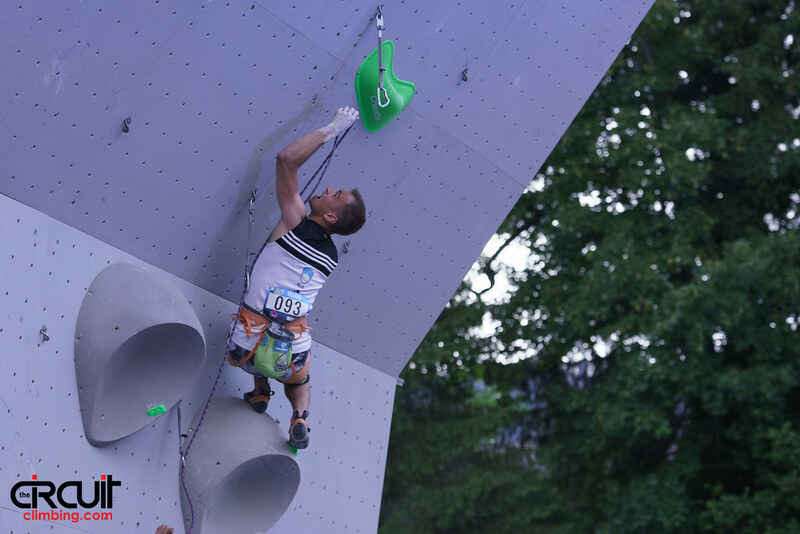 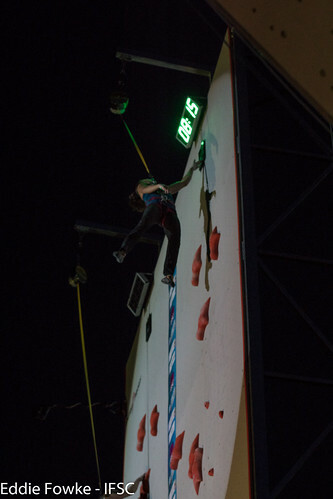 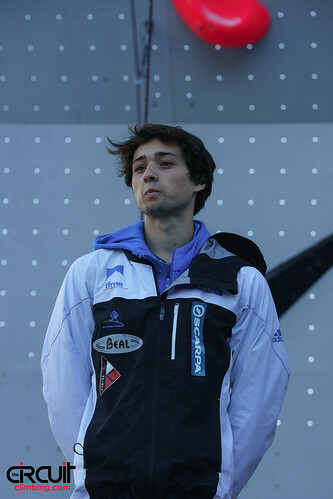 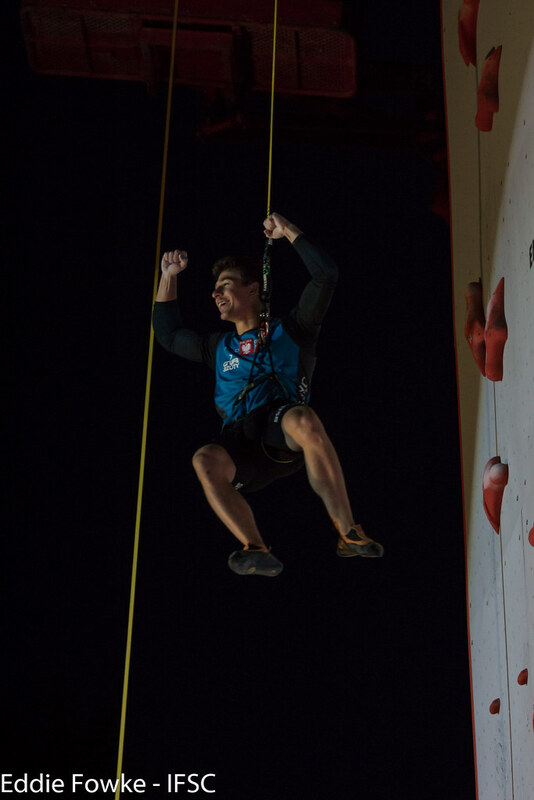 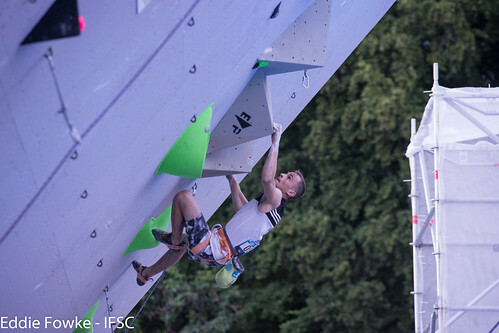 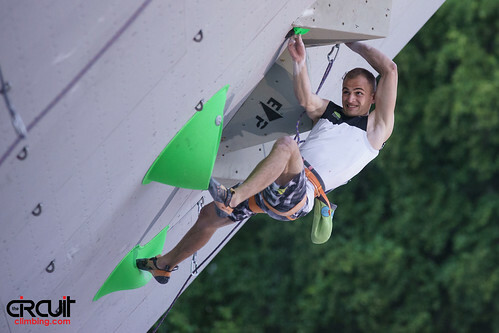 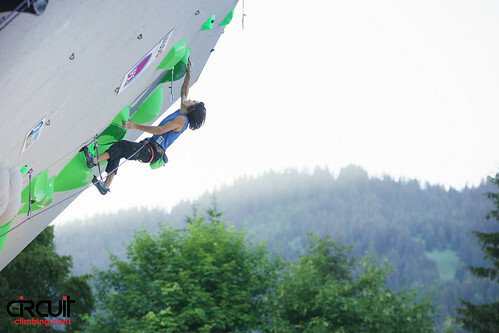 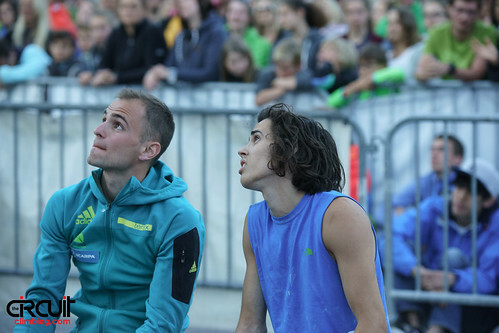 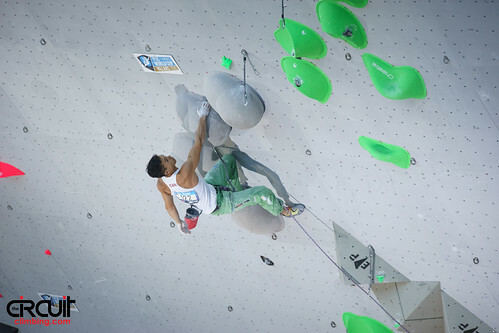 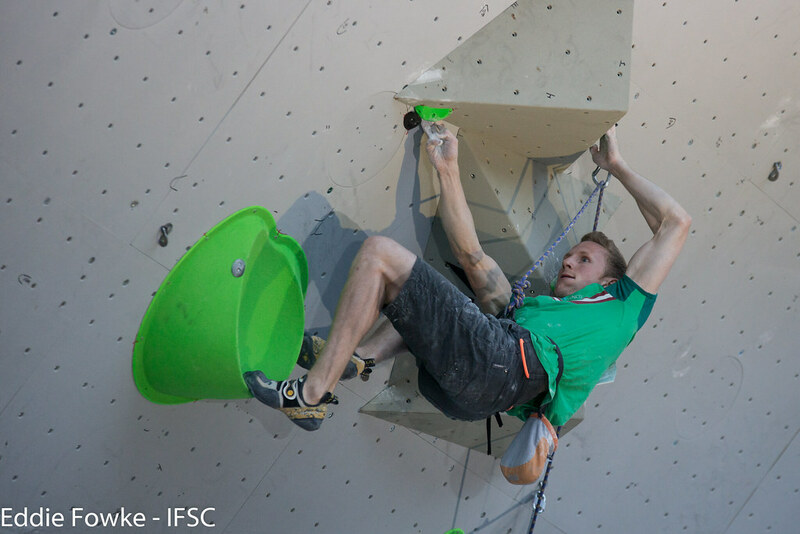 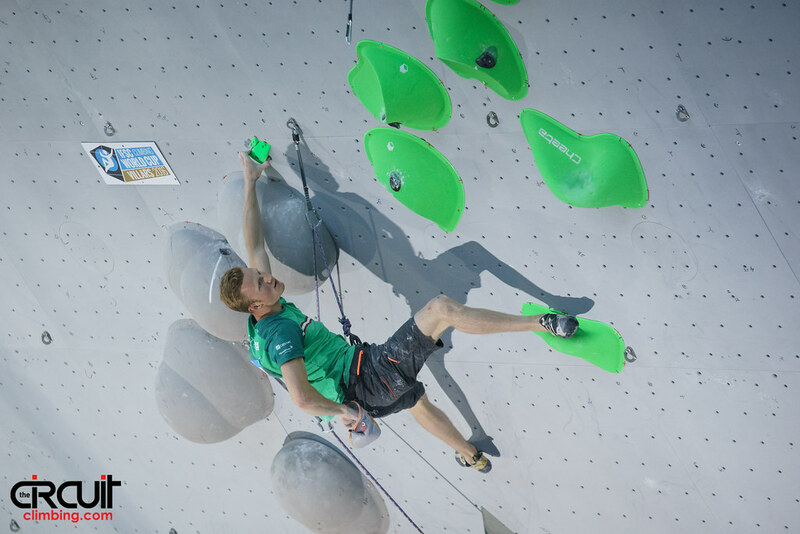 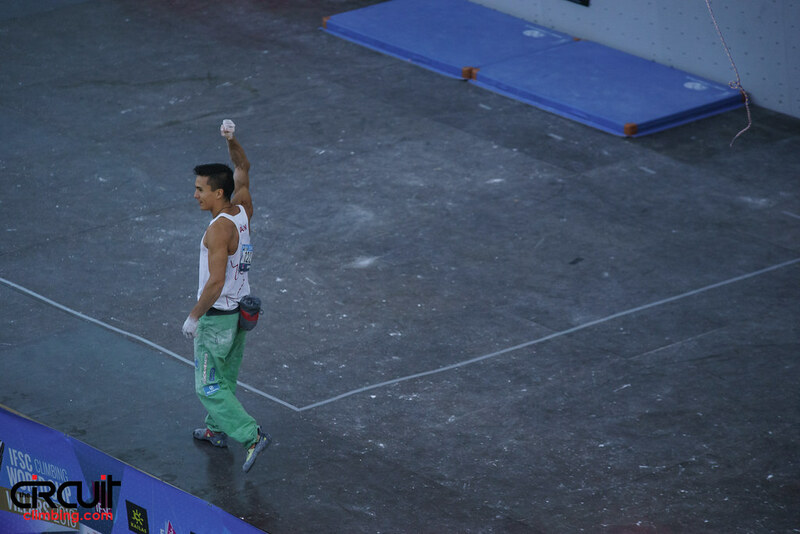 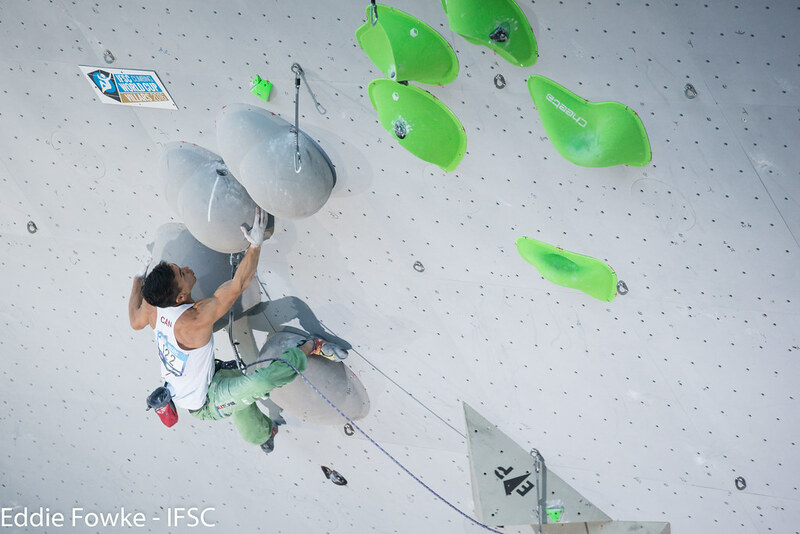 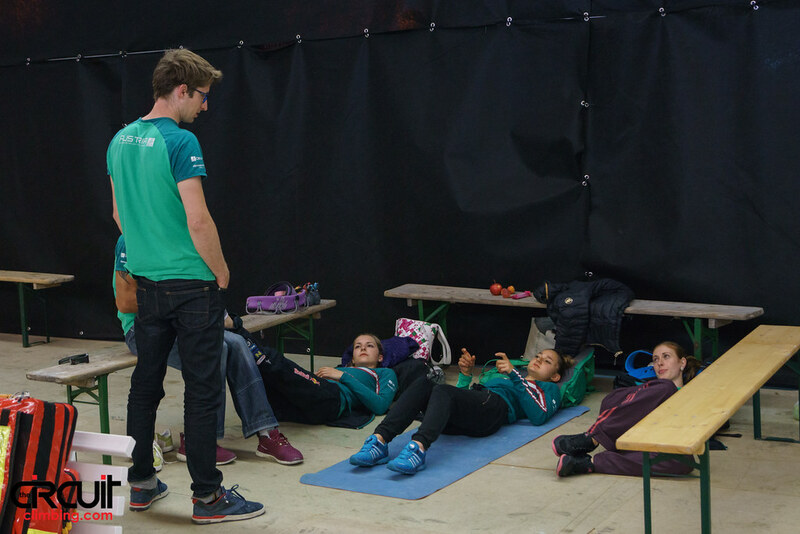 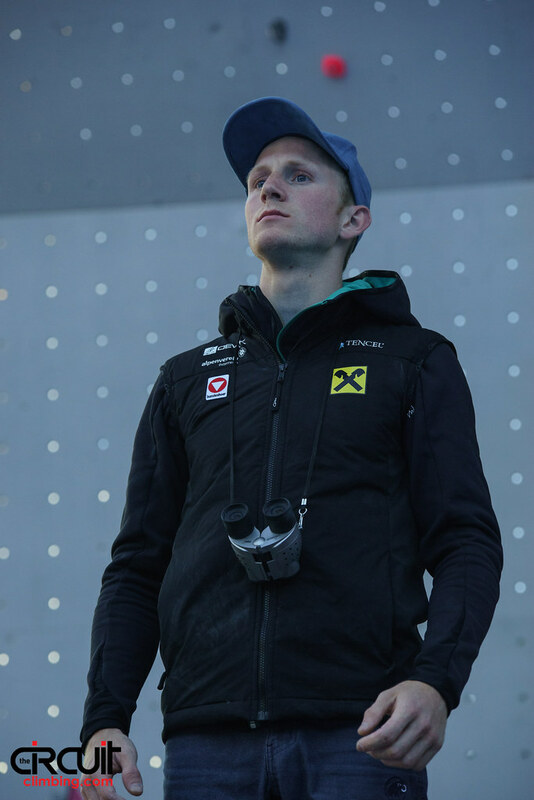 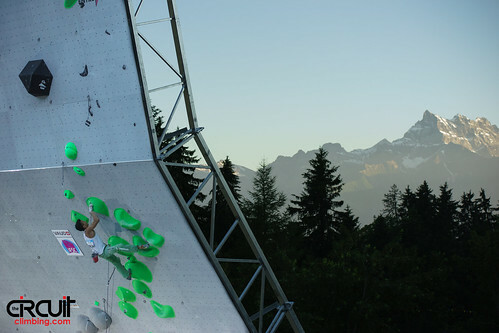 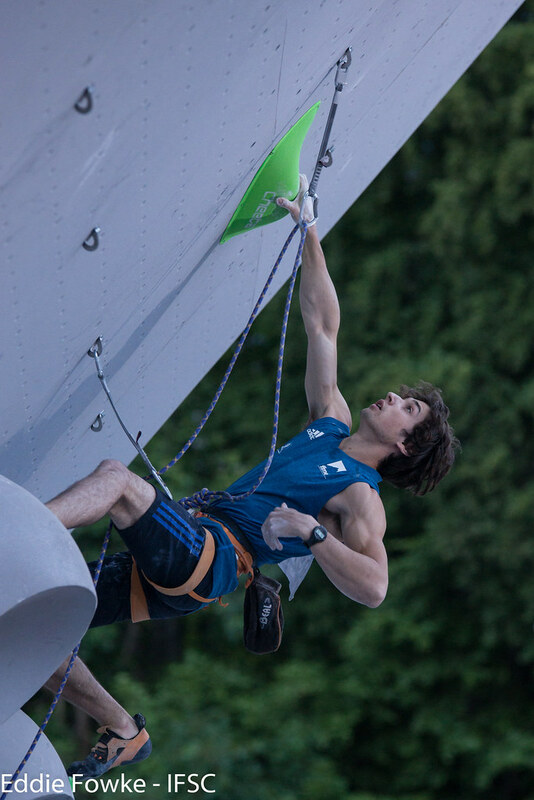 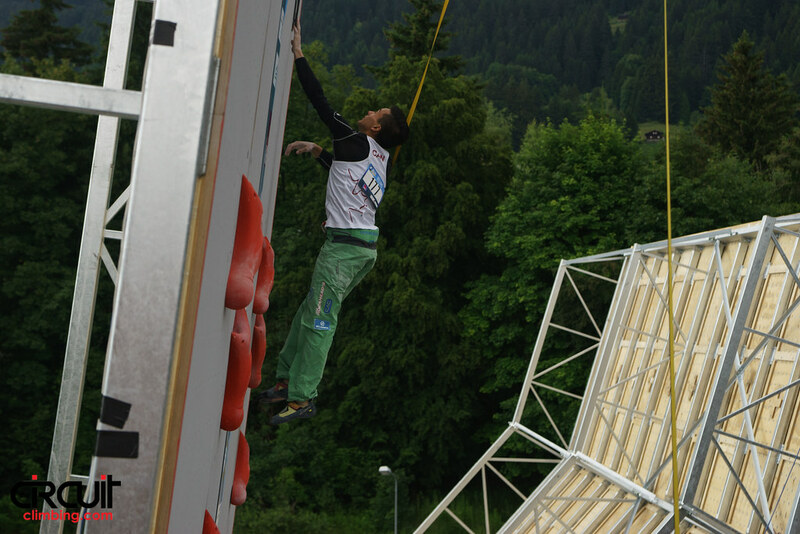 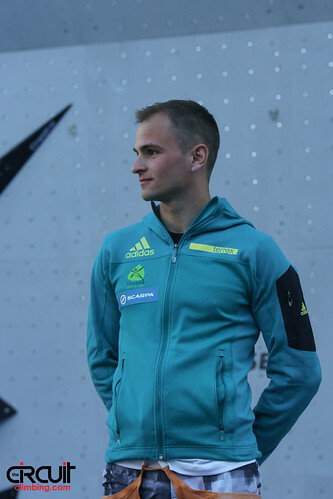 Many strong climbers missed the Men’s Final, including Chamonix winner Domen Skofic of Slovenia. 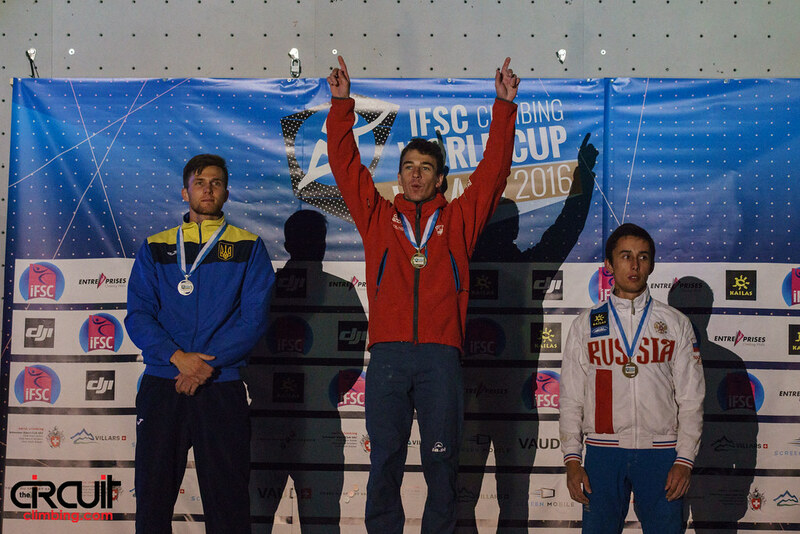 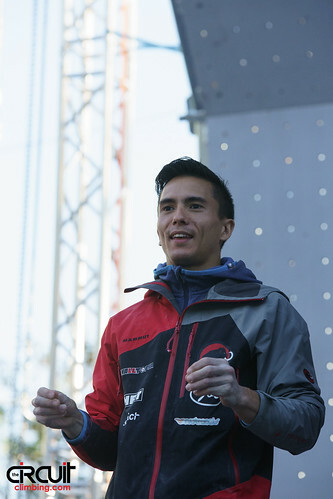 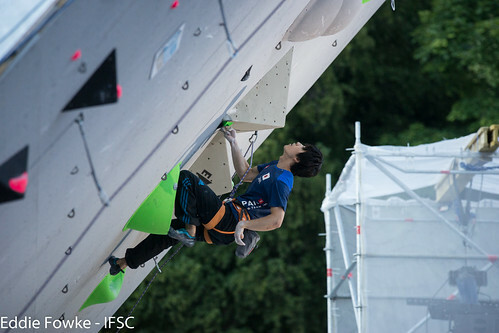 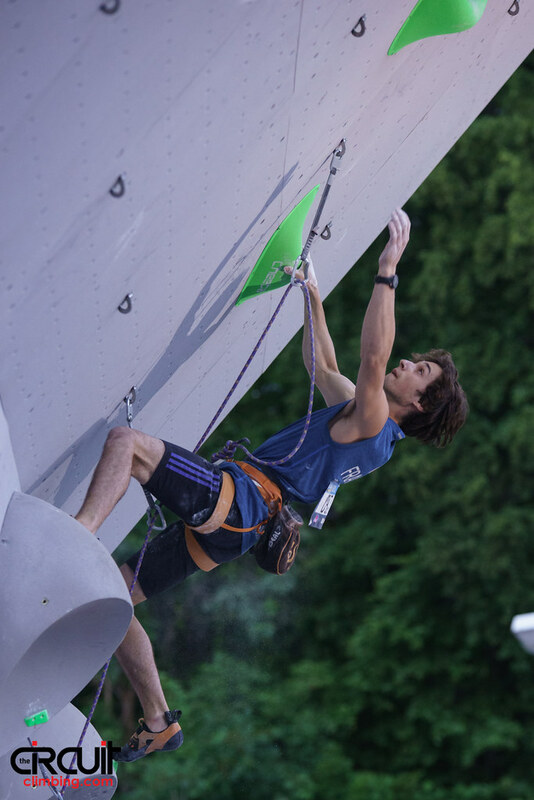 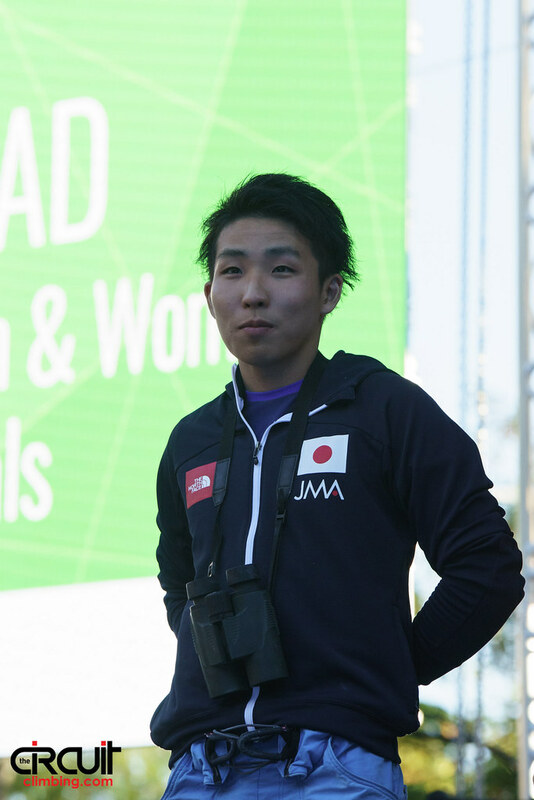 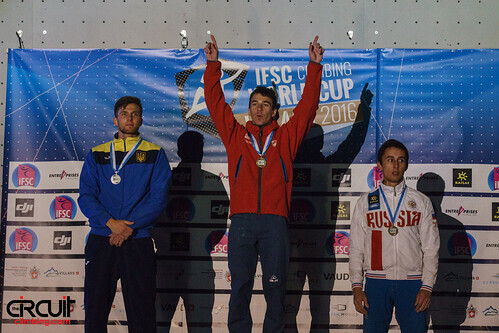 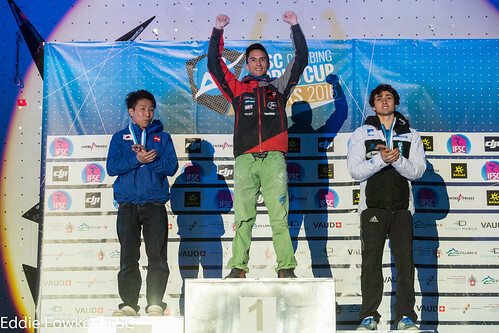 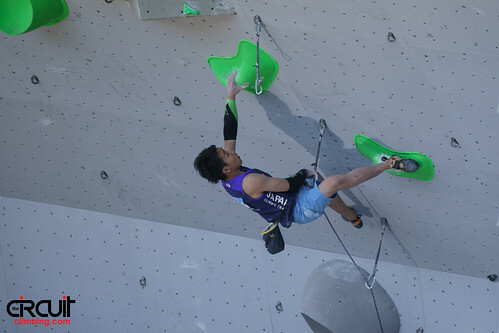 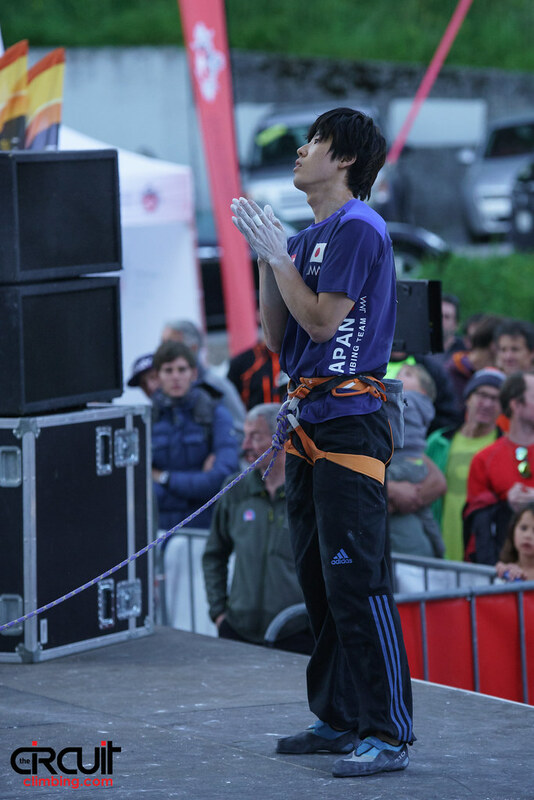 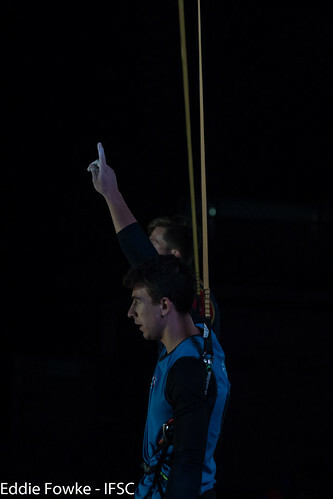 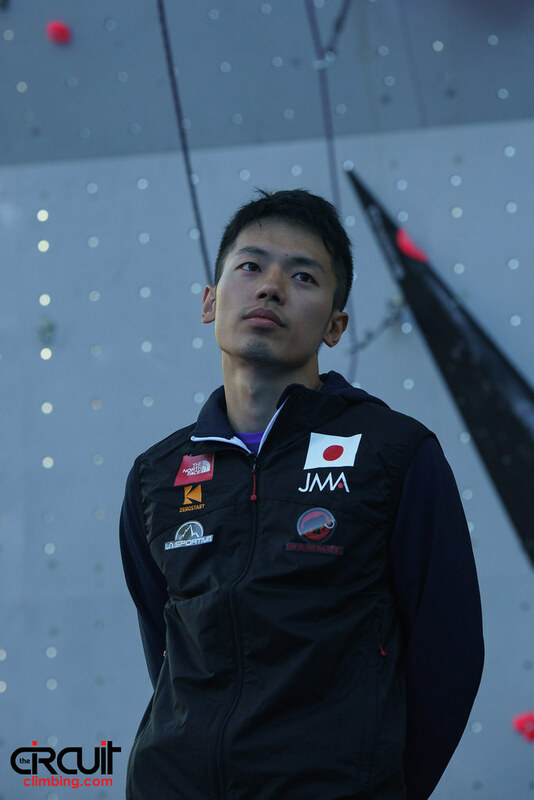 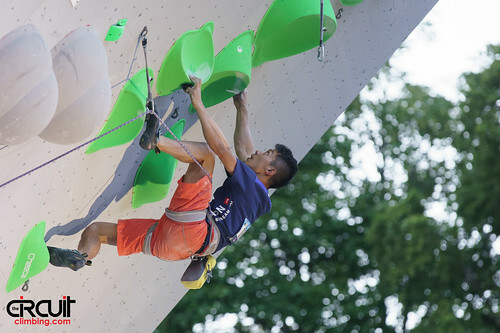 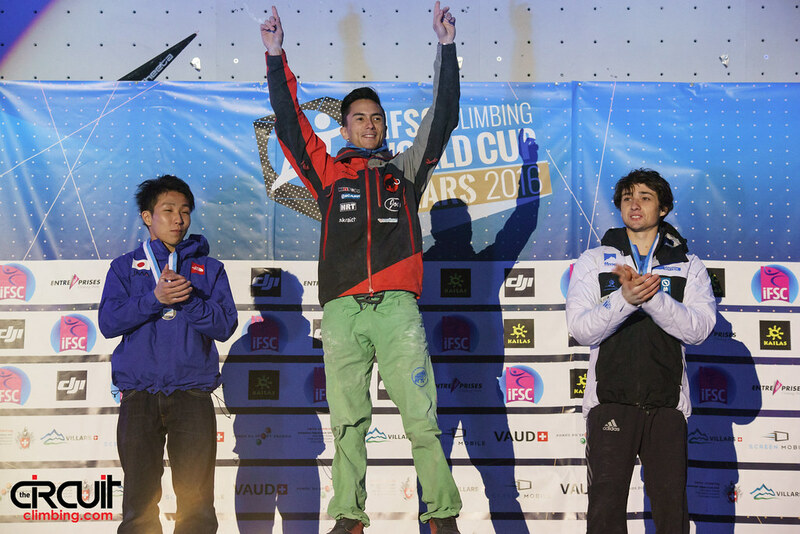 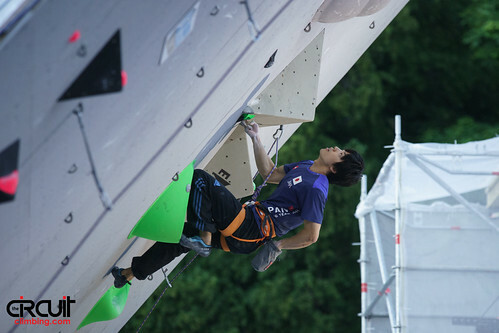 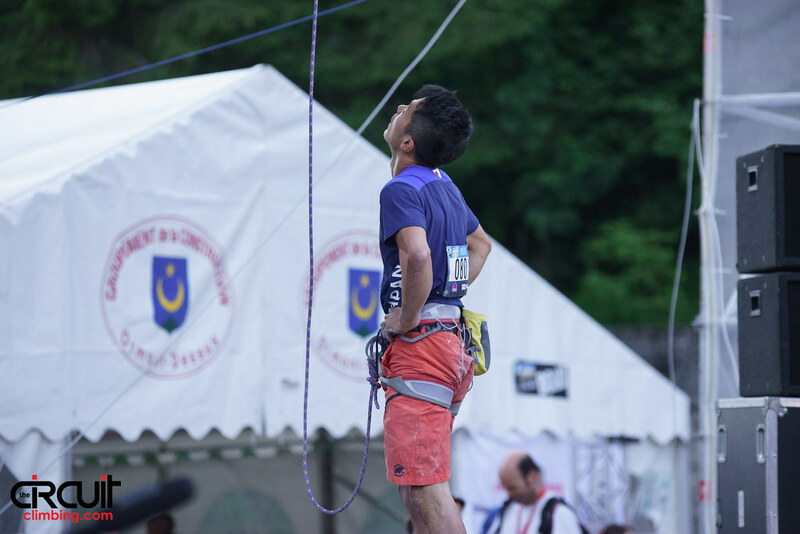 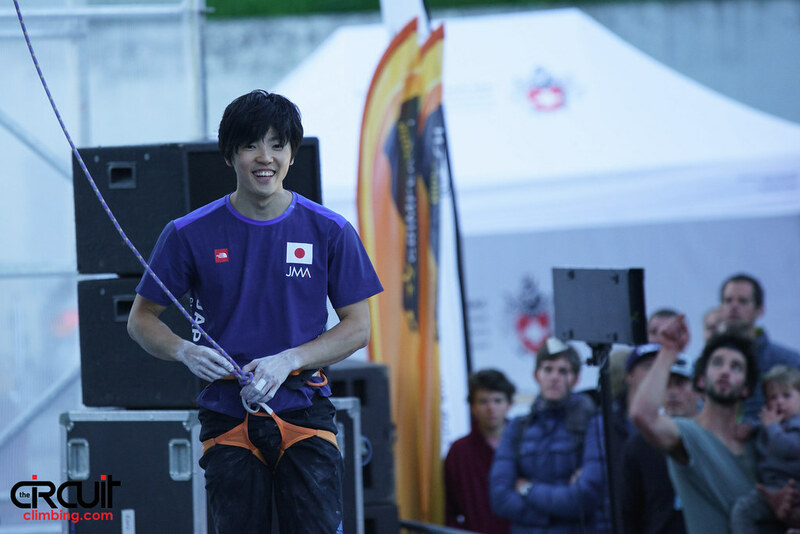 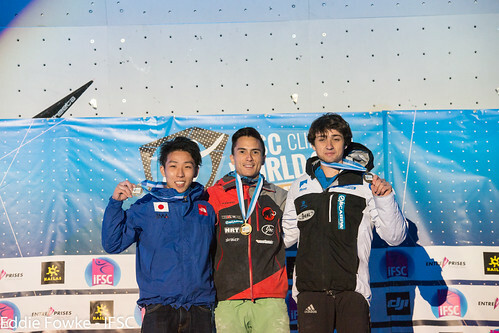 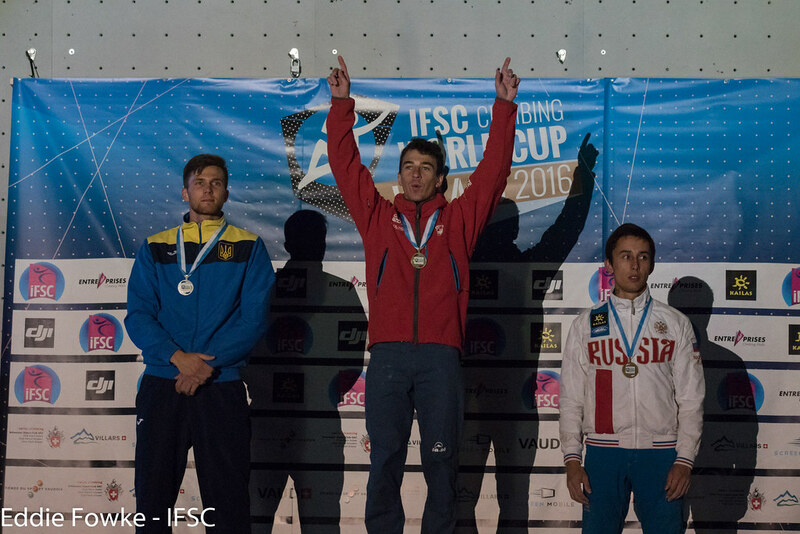 Sean Baily impressed the crowd early on in his first Finals, but Frenchman Thomas Joannes and Keiichiro Korenaga of Japan snagged one sloper more, with Korenaga taking Silver in a countback to the Semi-Finals. 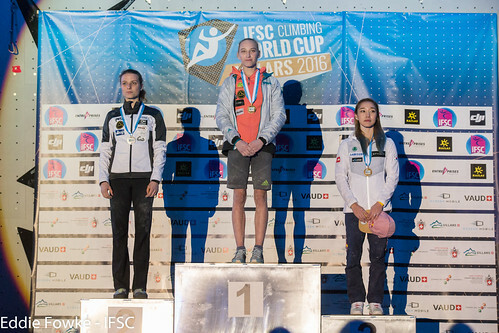 It was the first World Cup medal for them both. In the end, only McColl reached the top panel for Gold. Route de la déchetterie, Villars-sur-Ollon.